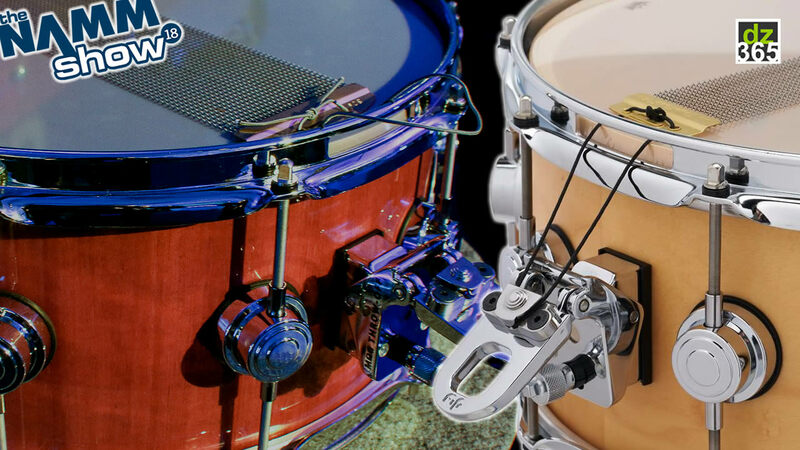 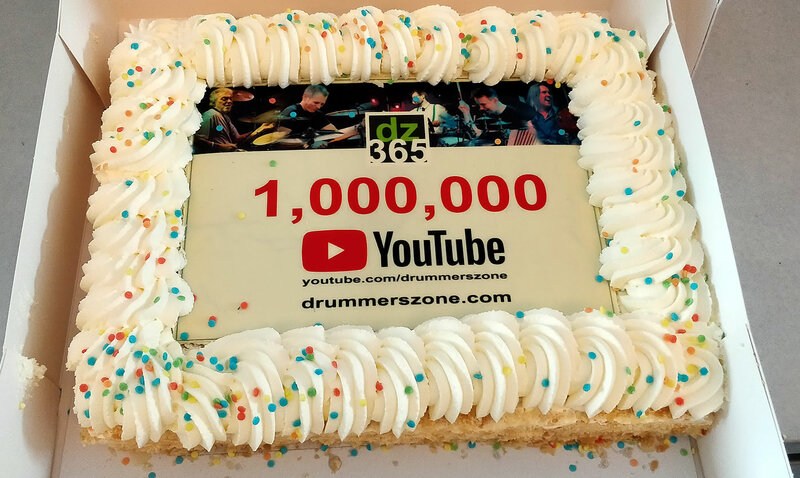 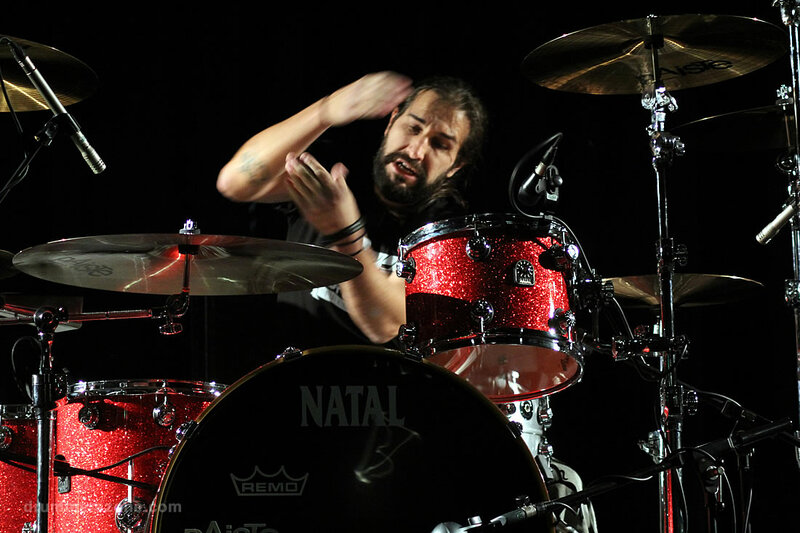 Only in drums, that what hits you hard, is good. 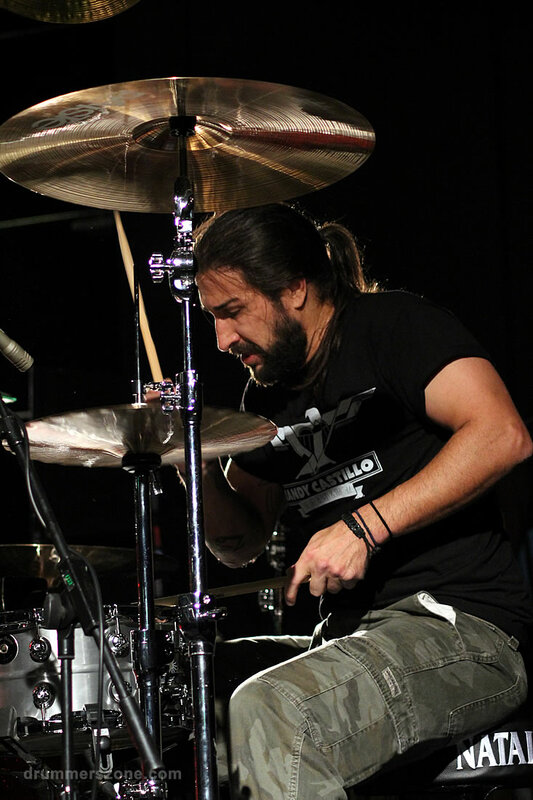 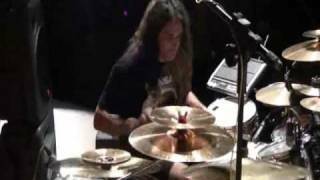 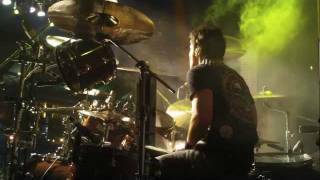 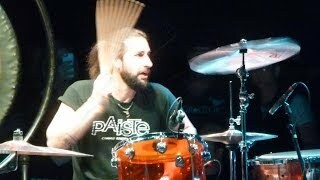 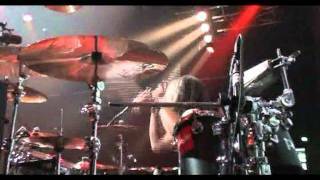 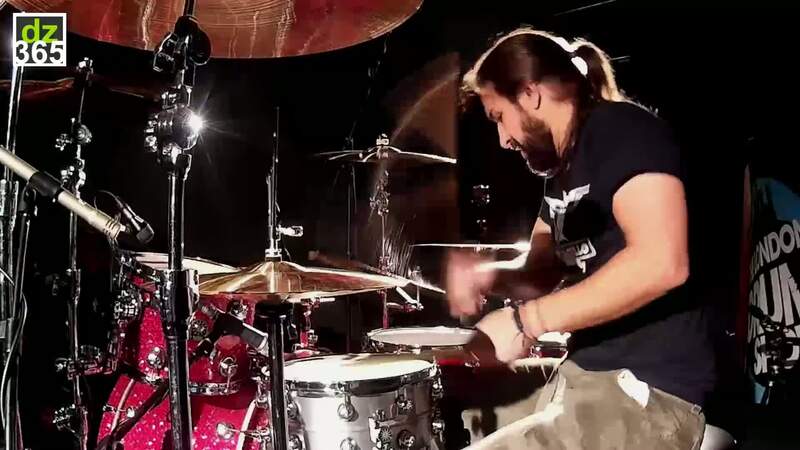 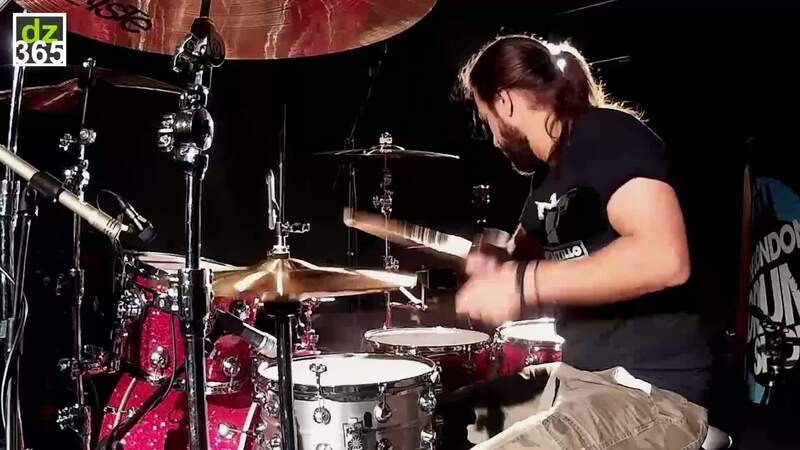 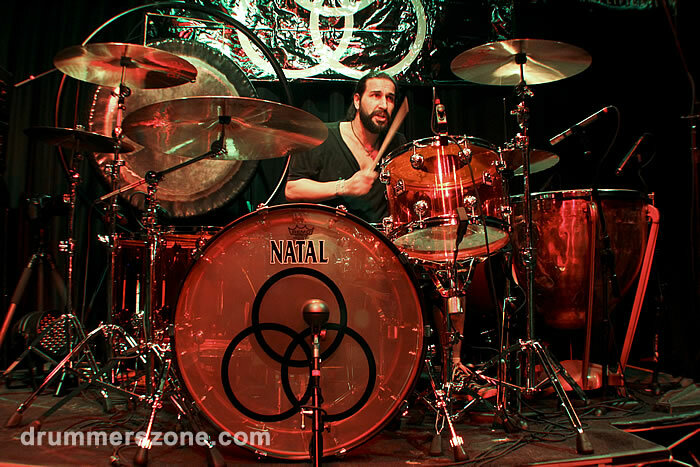 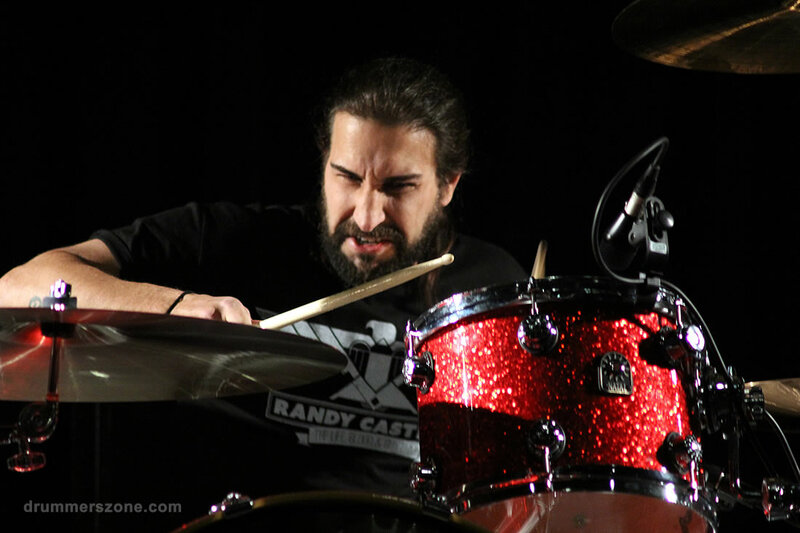 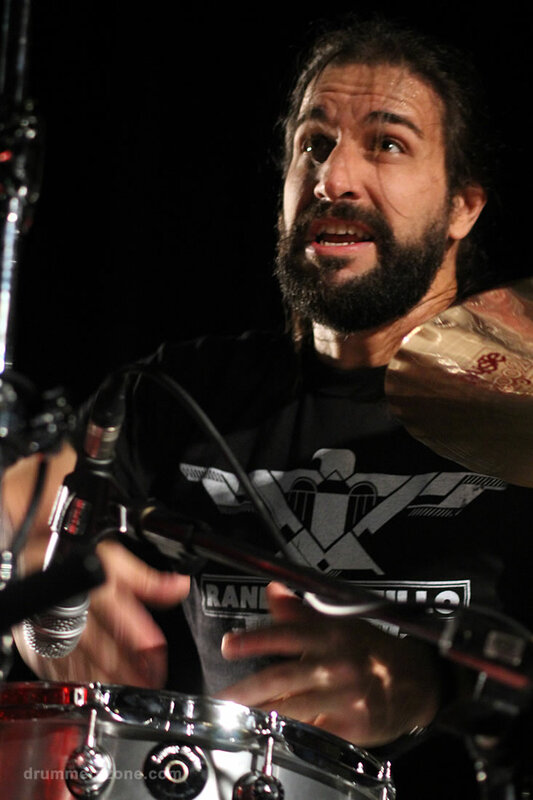 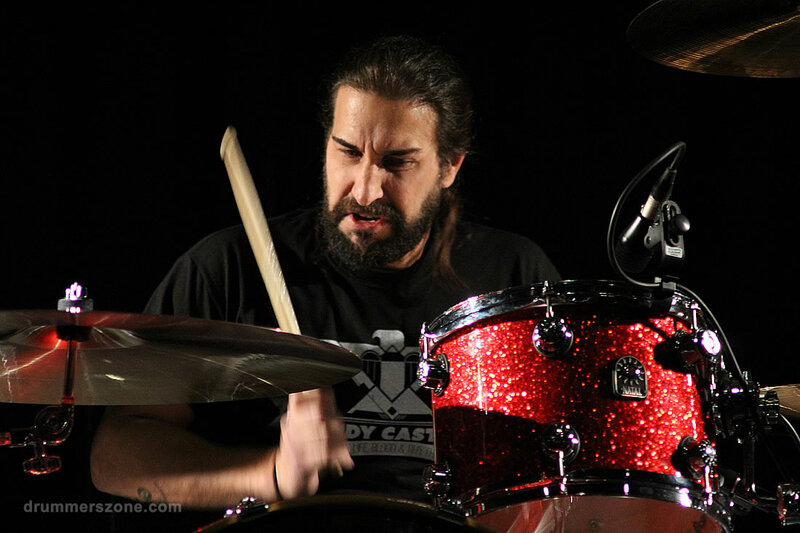 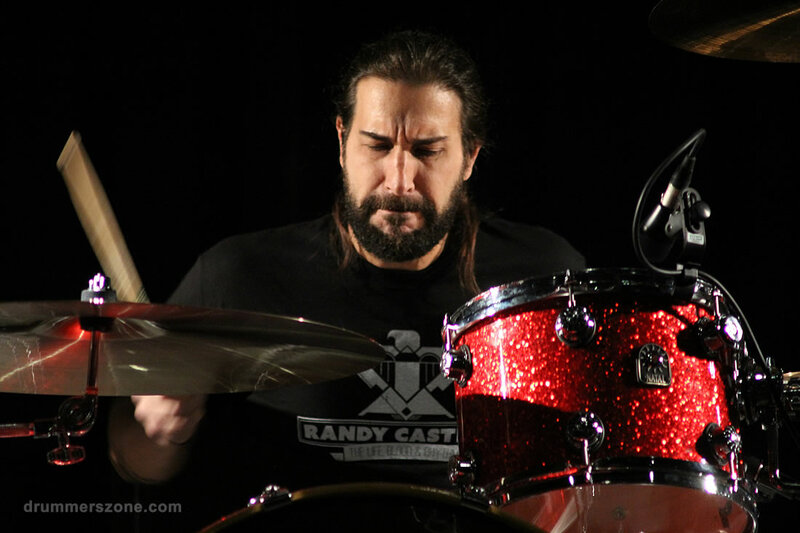 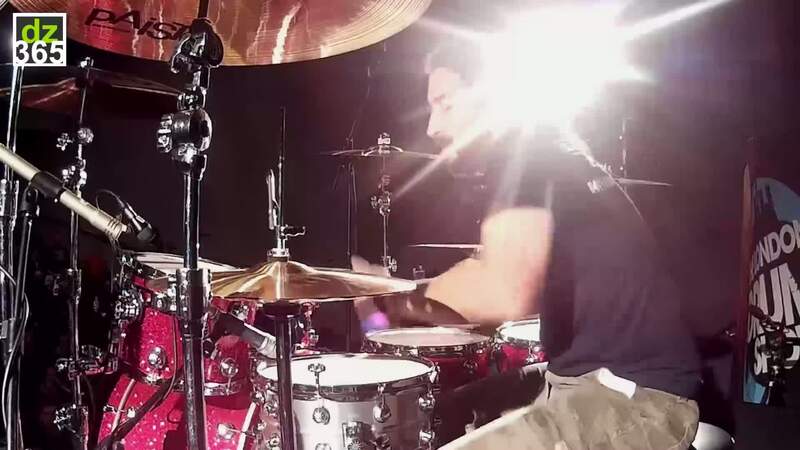 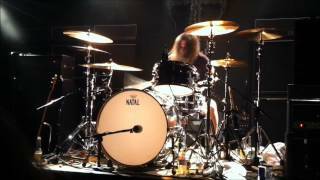 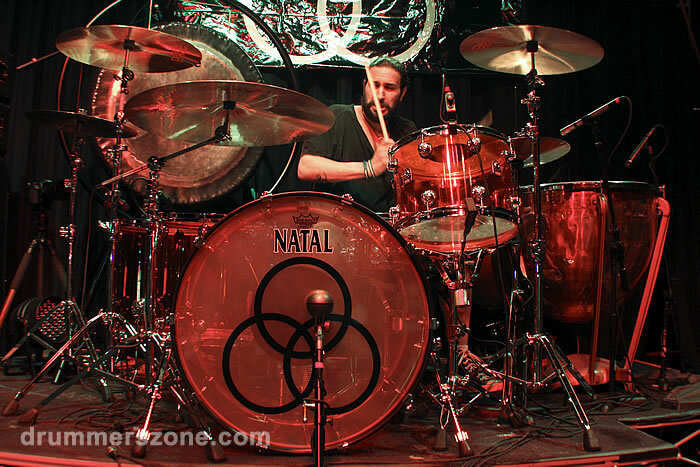 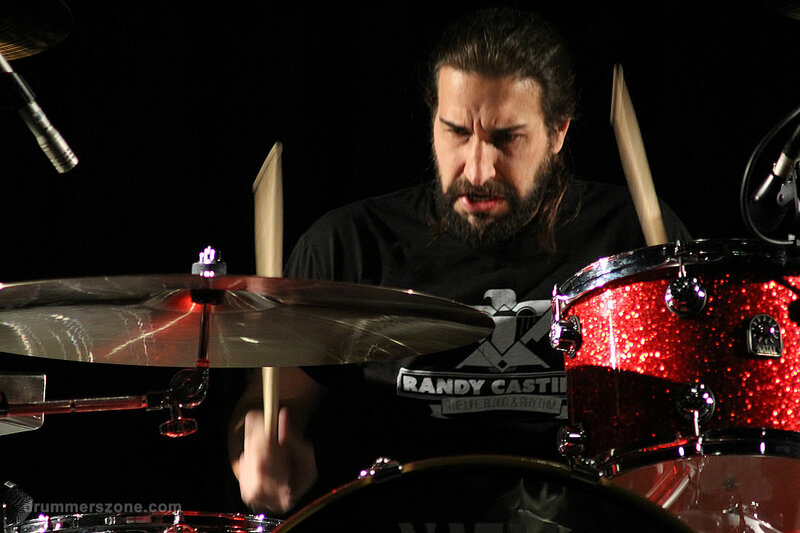 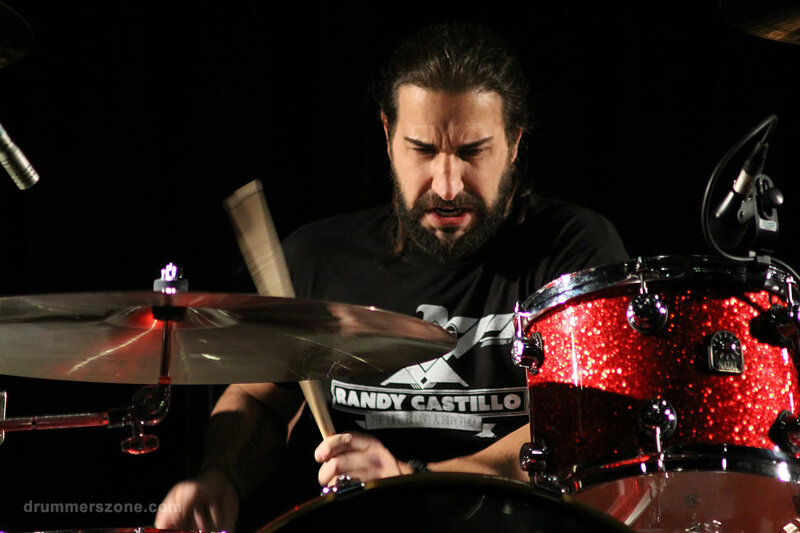 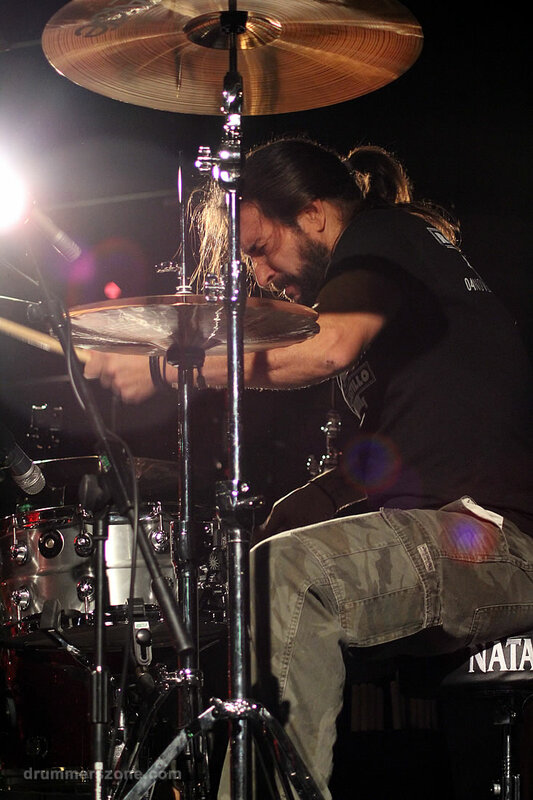 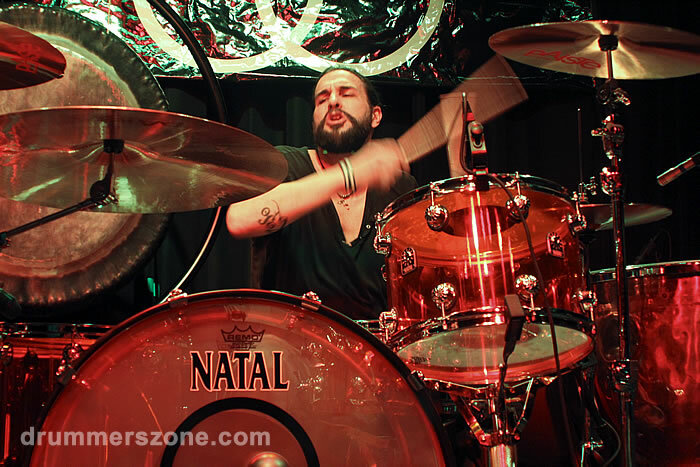 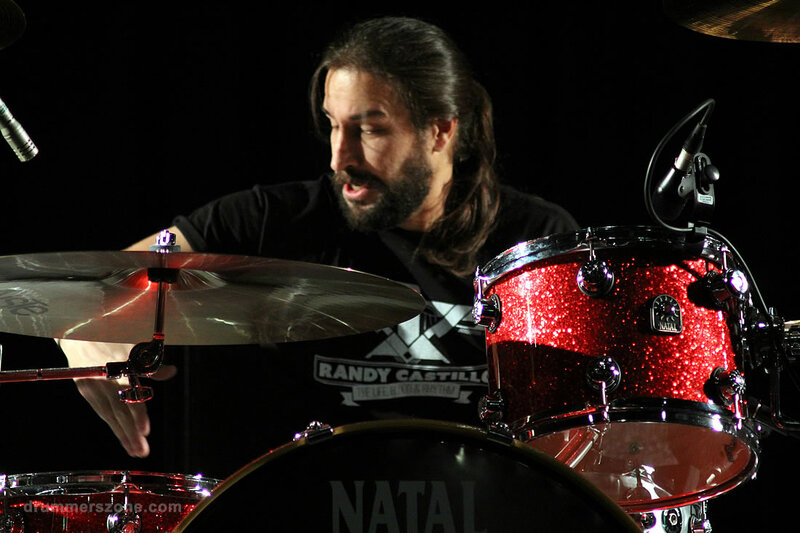 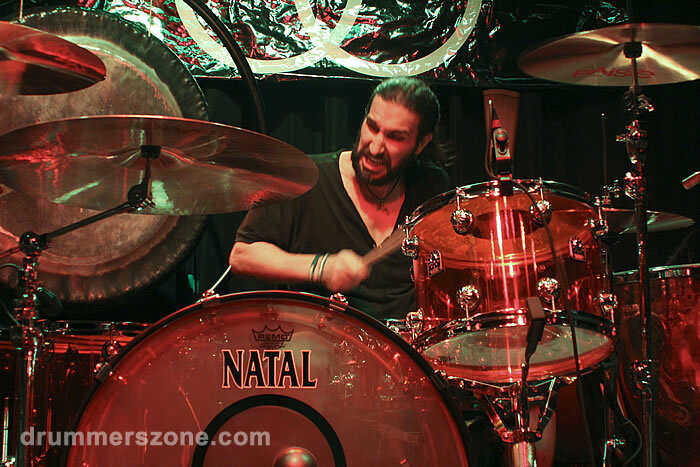 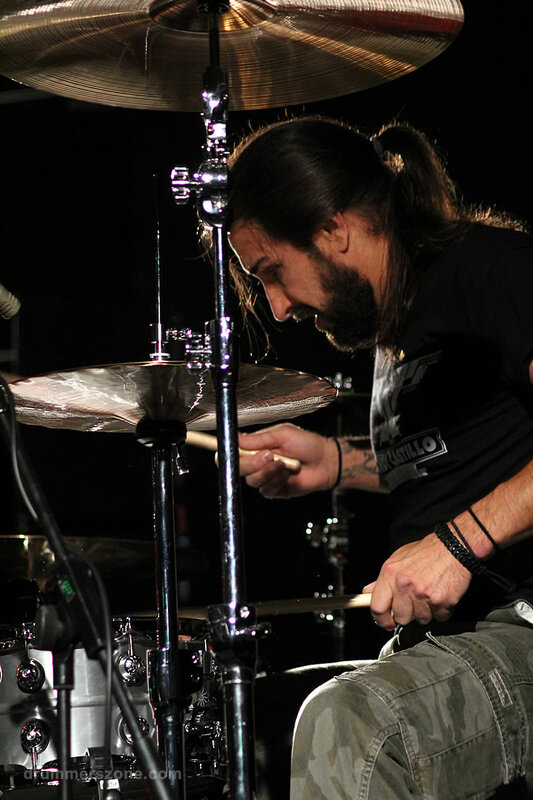 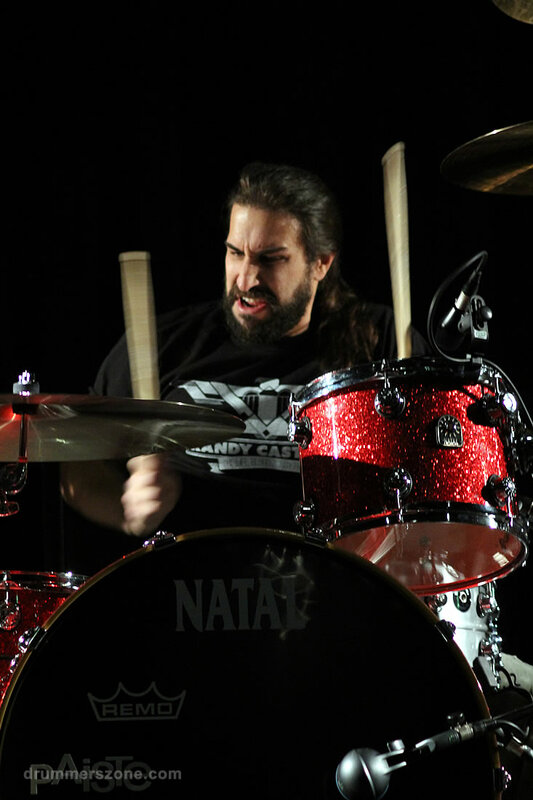 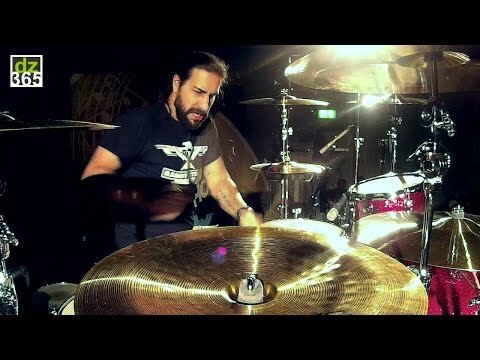 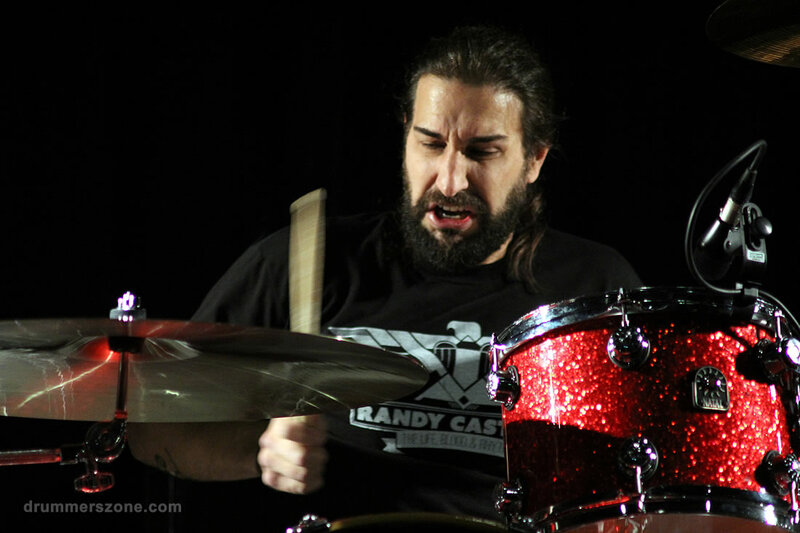 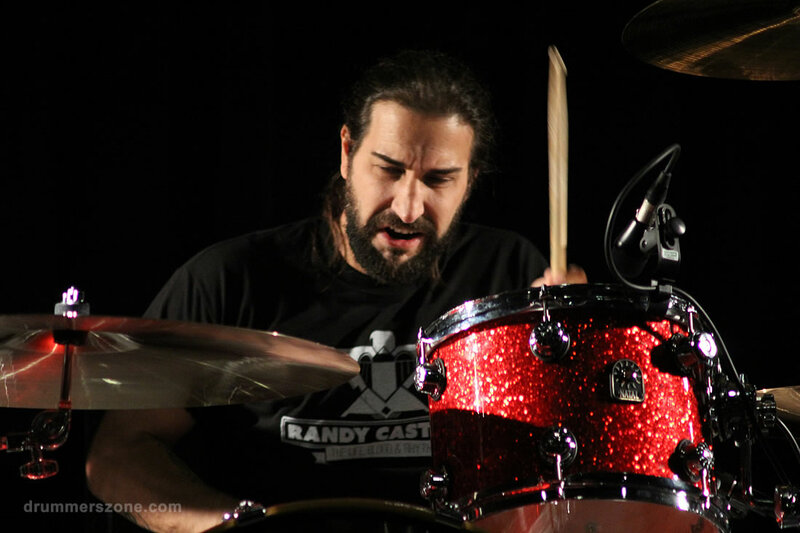 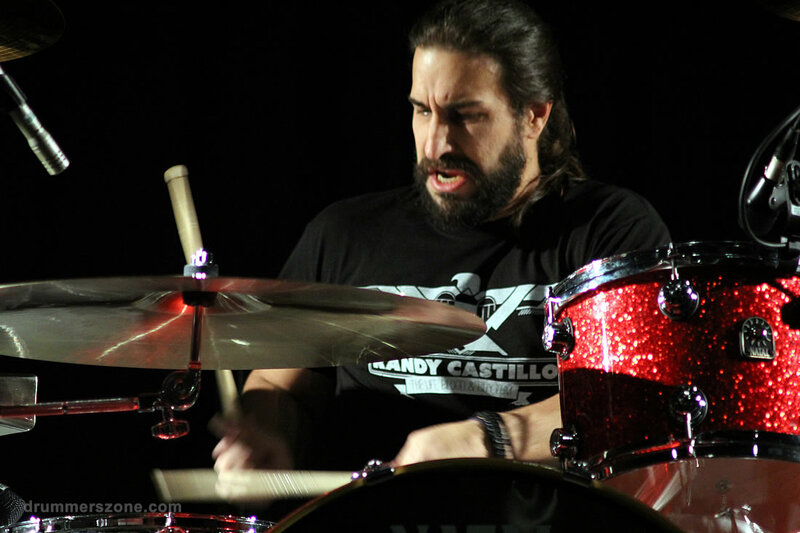 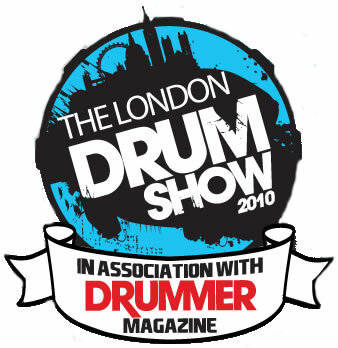 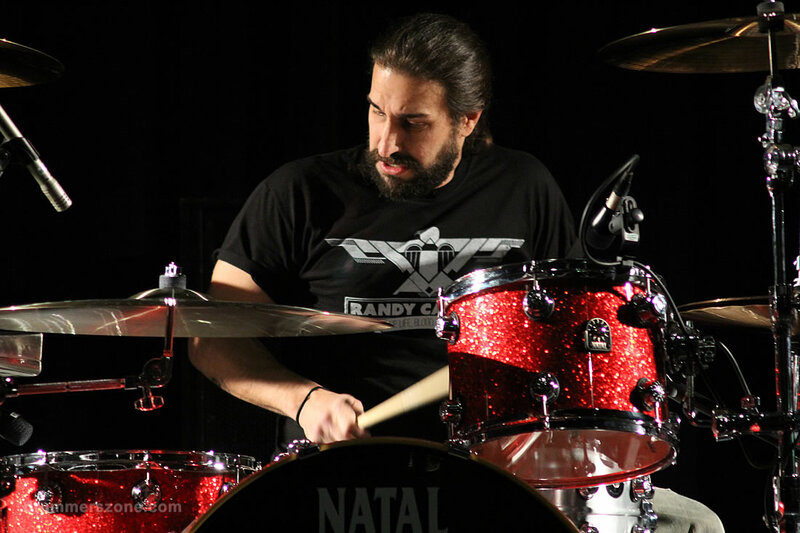 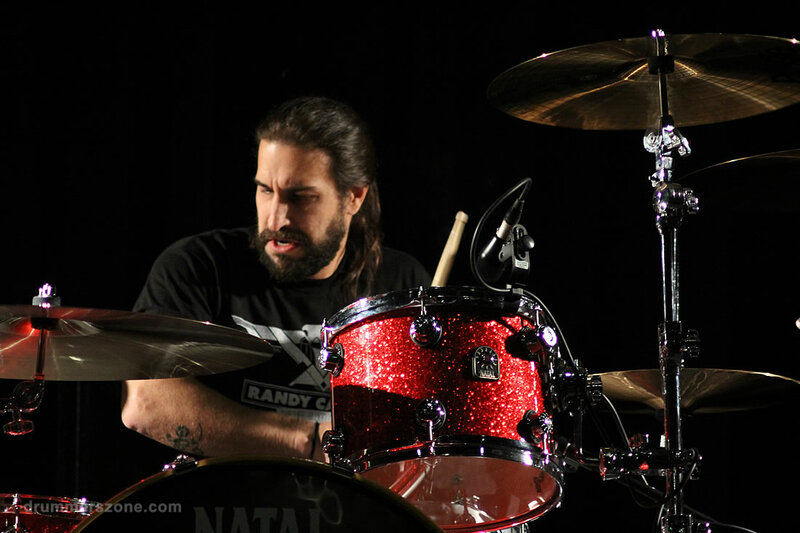 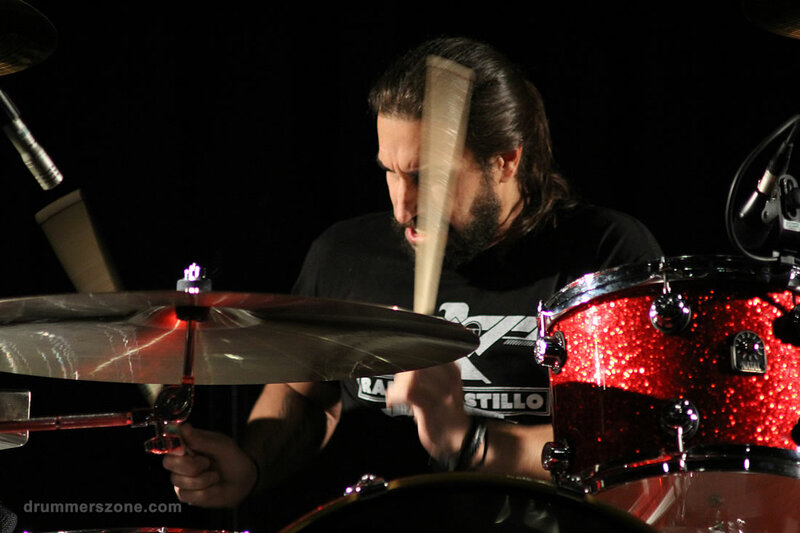 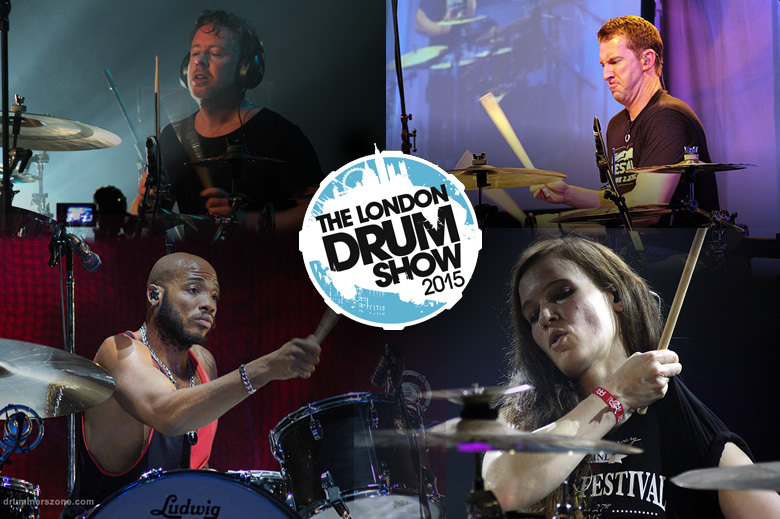 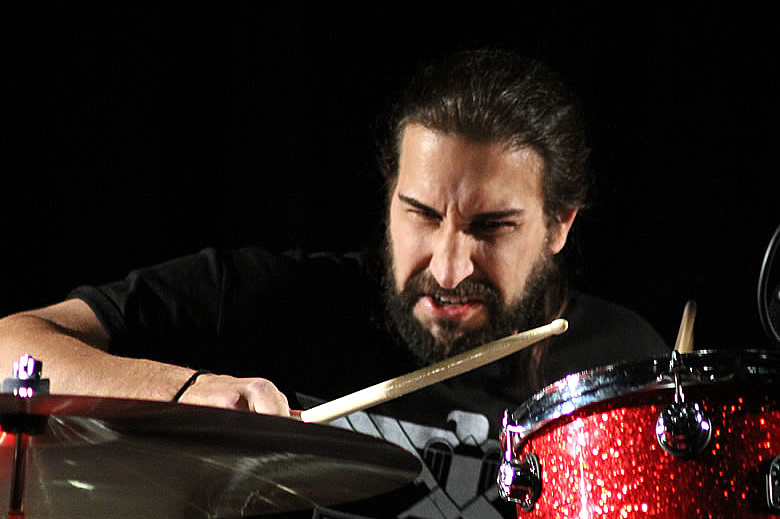 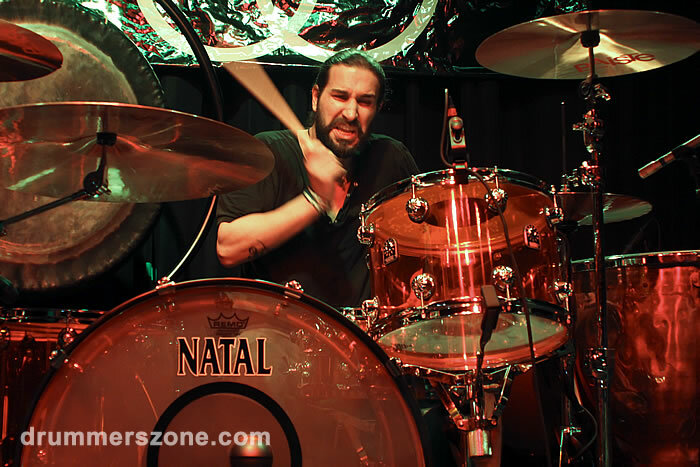 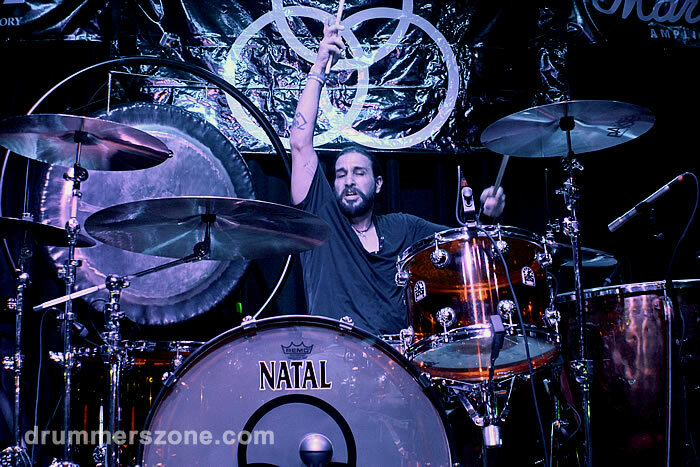 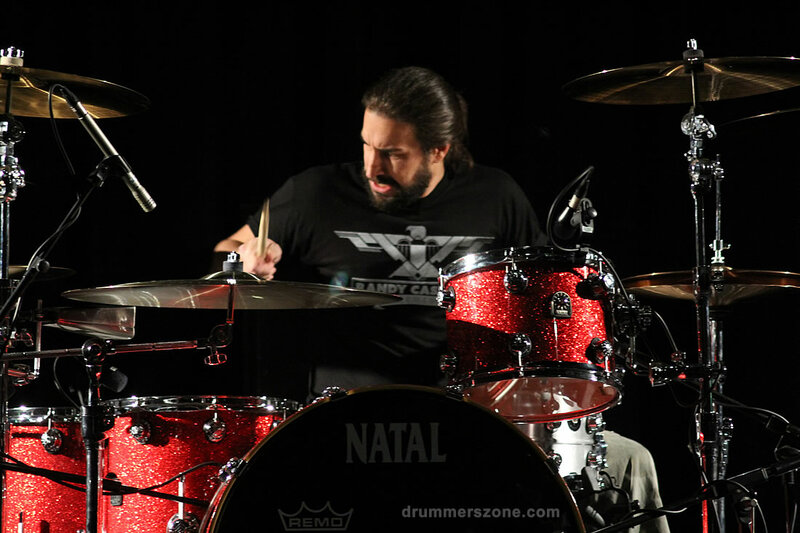 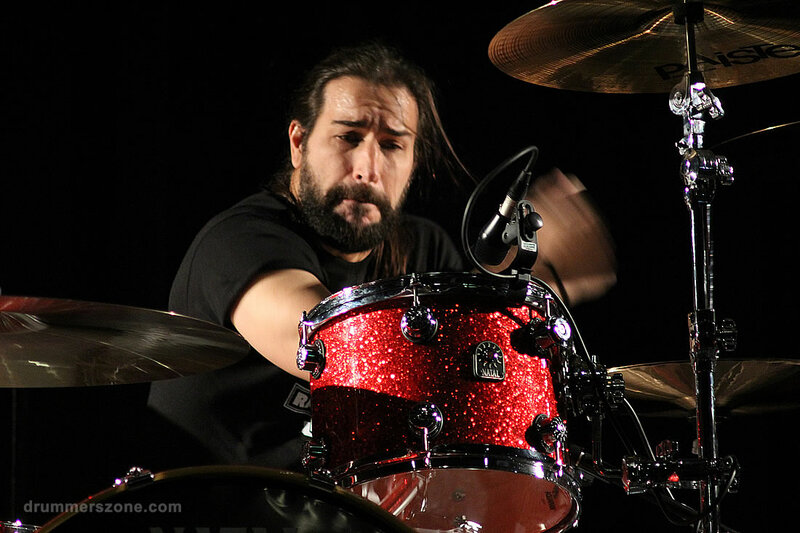 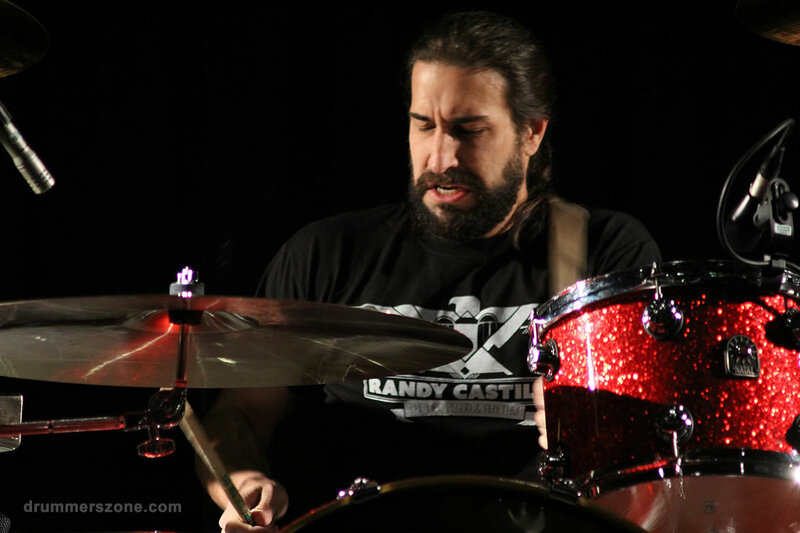 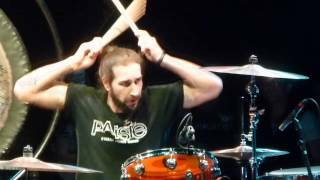 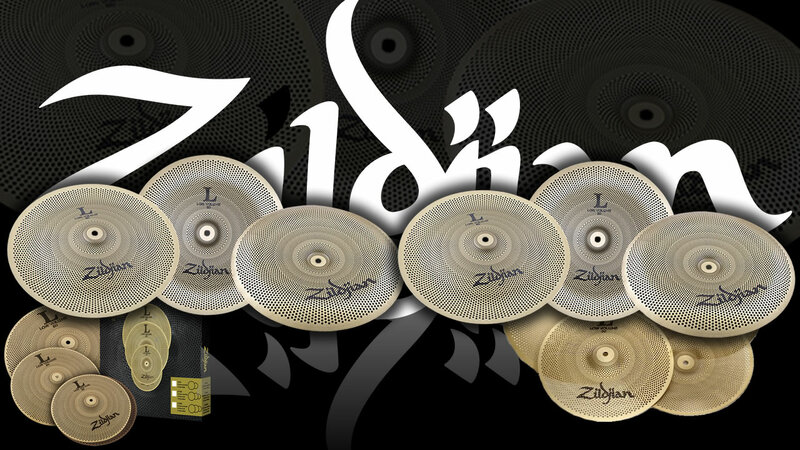 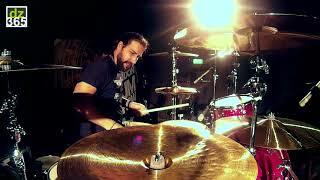 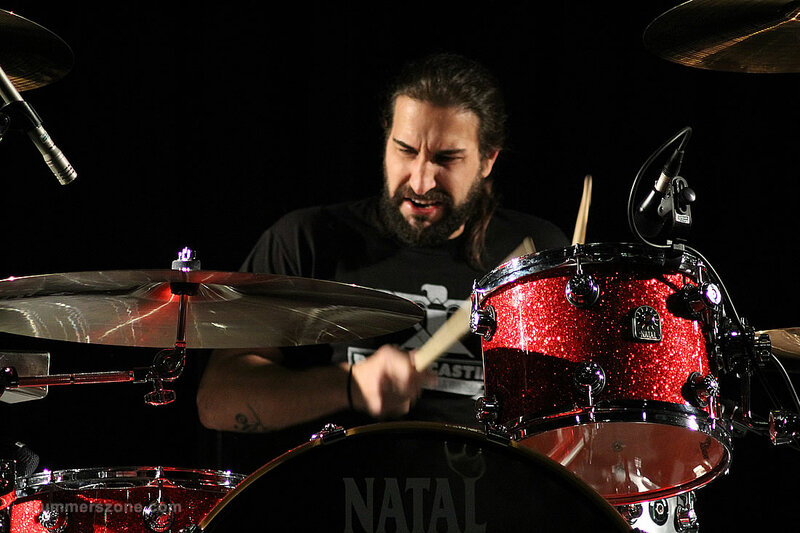 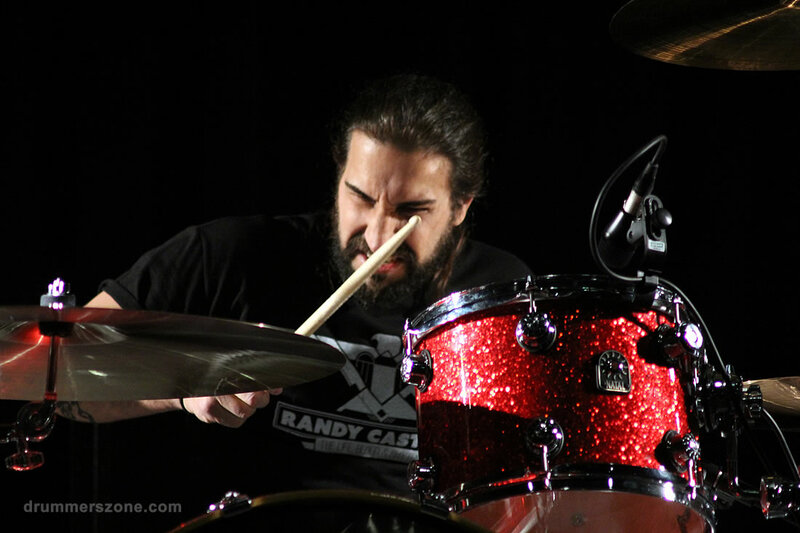 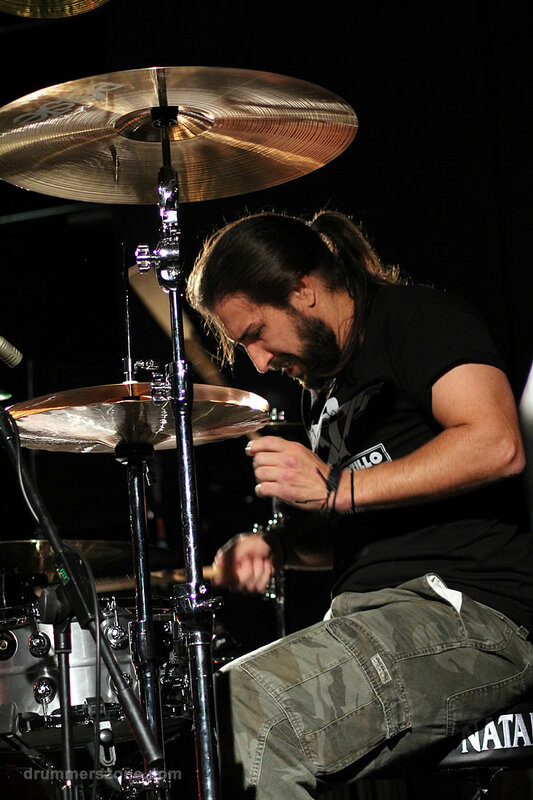 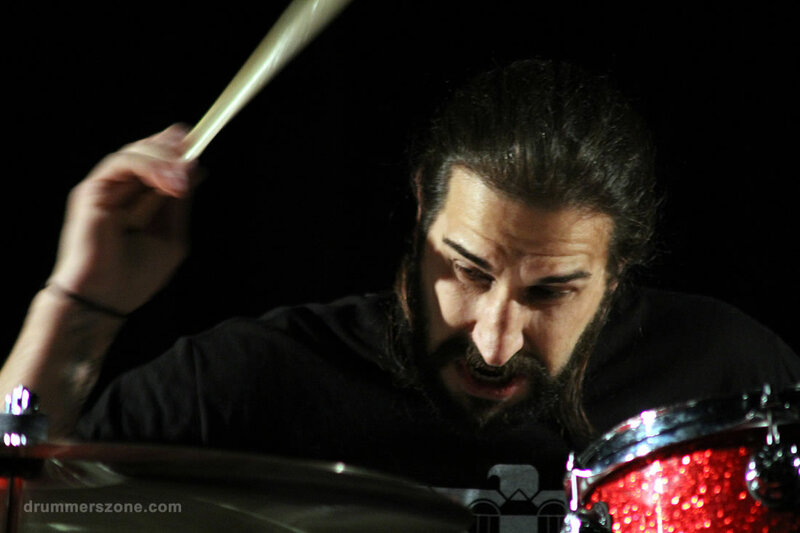 Brian Tichy did just that at the London Drum Show. 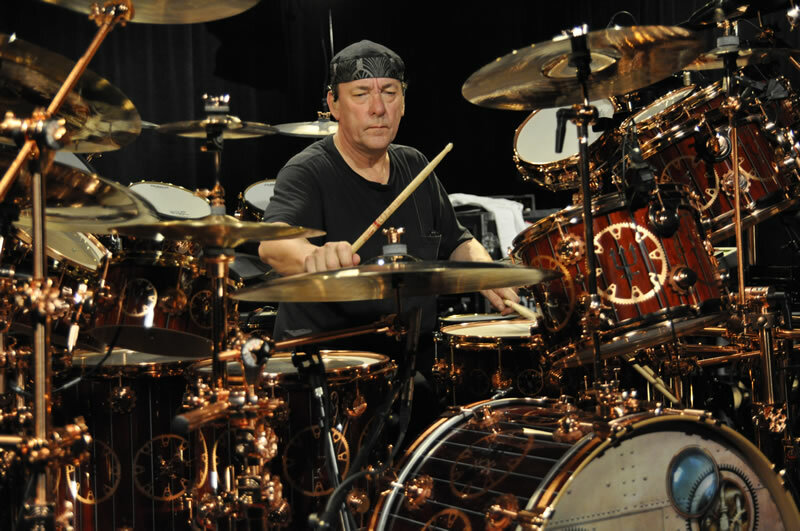 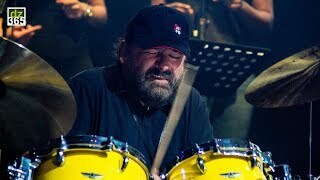 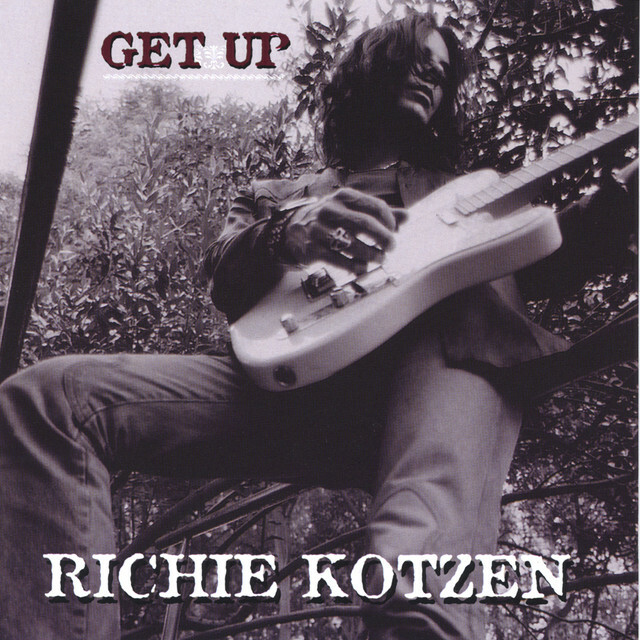 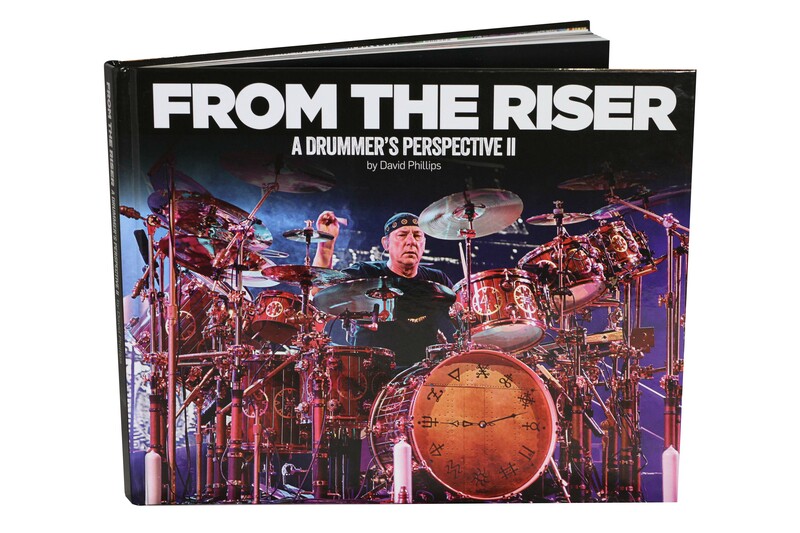 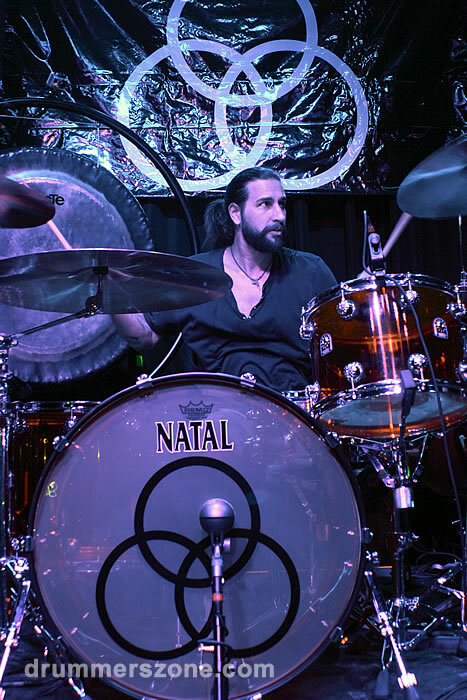 This guy not only knows how to rock, make a party as big as possible - like he does during the Bonzo Bash evenings- but also, the subtlety in his playing is just as great as the sound and the grooves he produces. 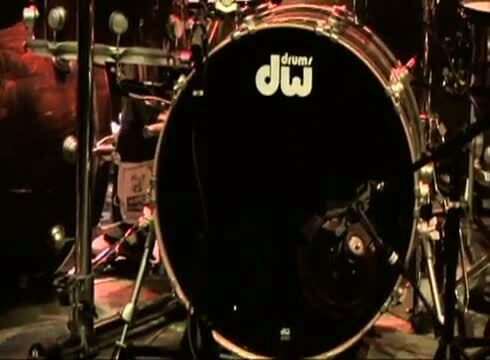 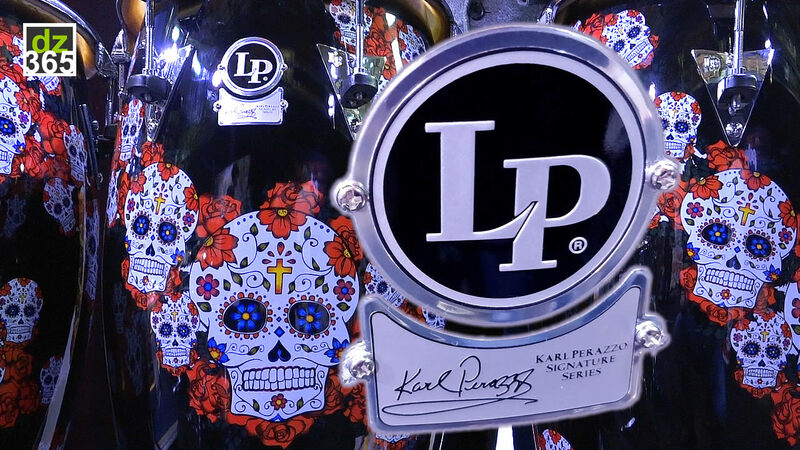 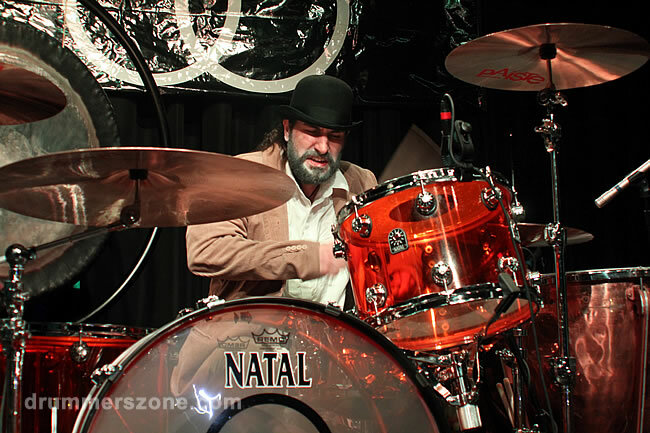 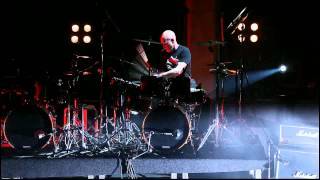 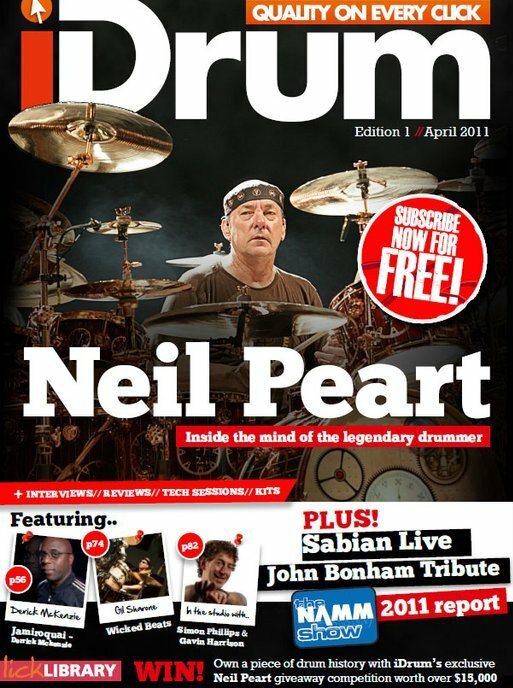 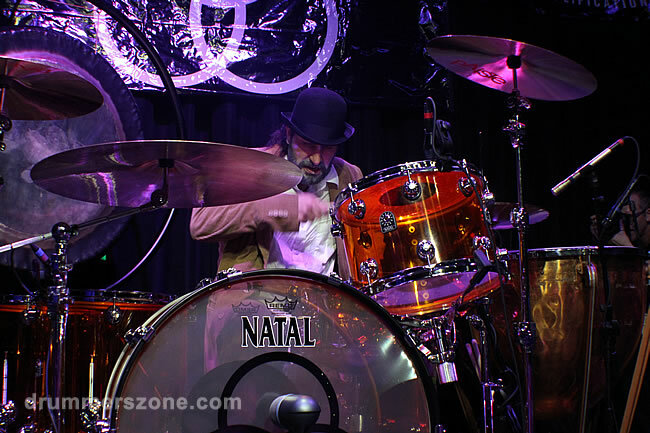 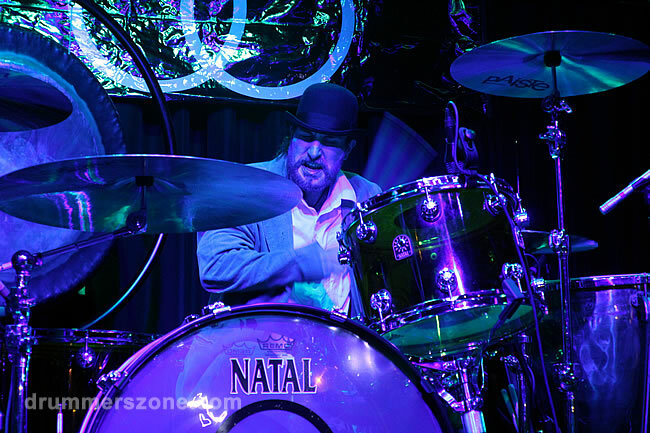 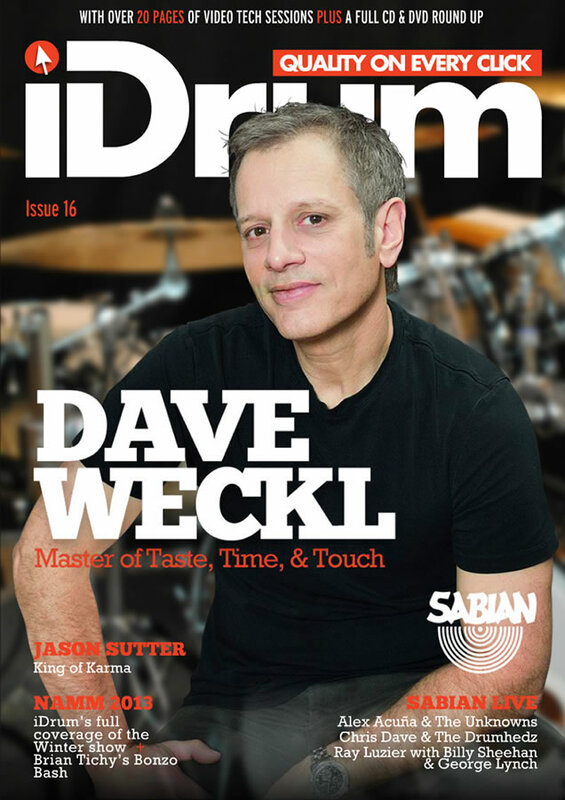 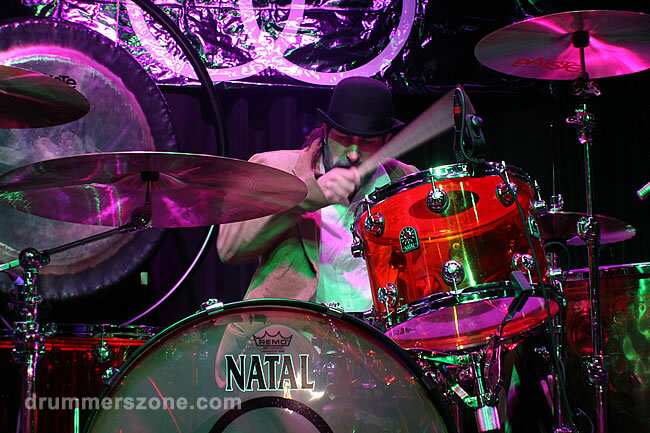 Just a few weeks after the show, he switched from Natal to Ludwig drums. 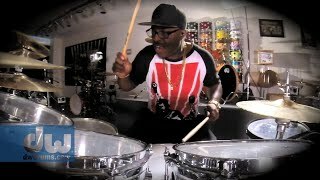 In the videos with this article he is still playing his old brand. 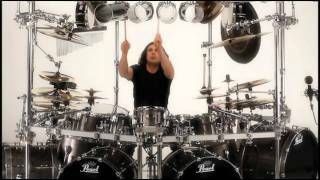 Have fun watching these five incredible videos. 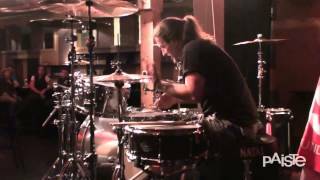 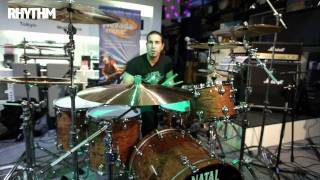 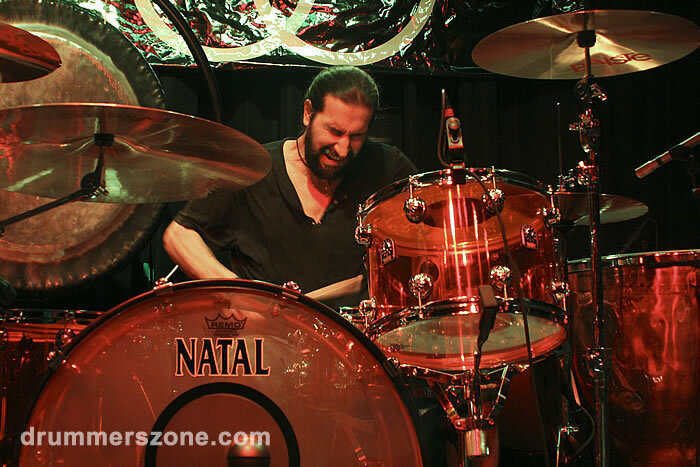 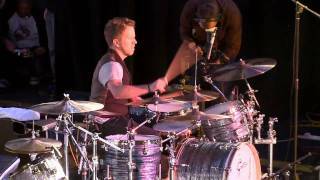 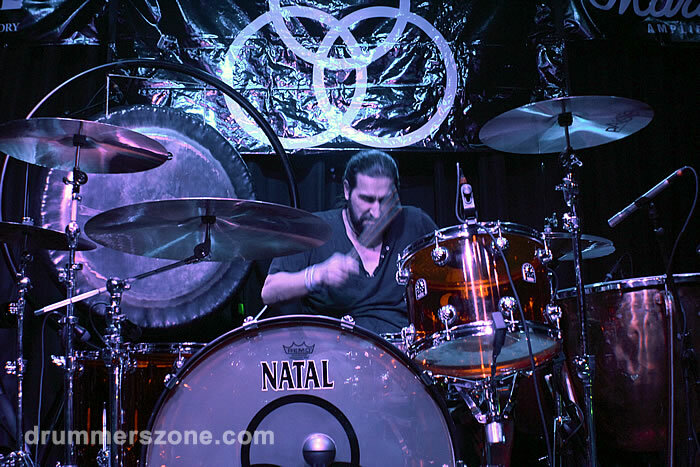 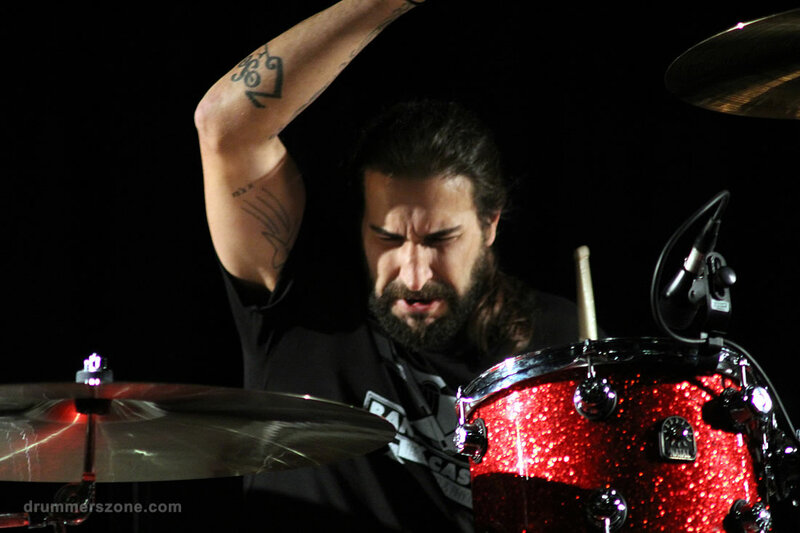 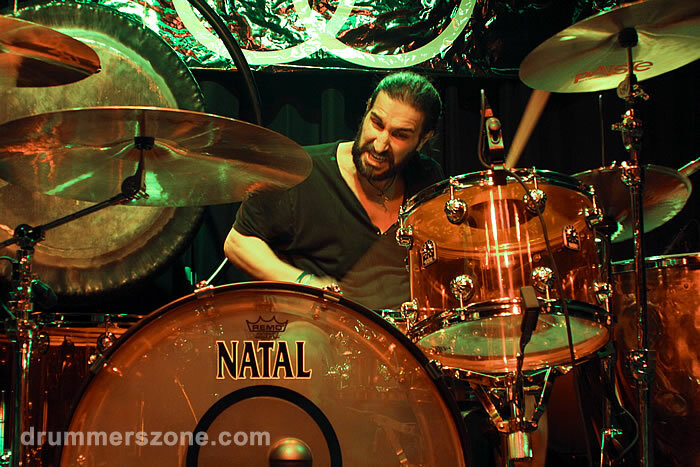 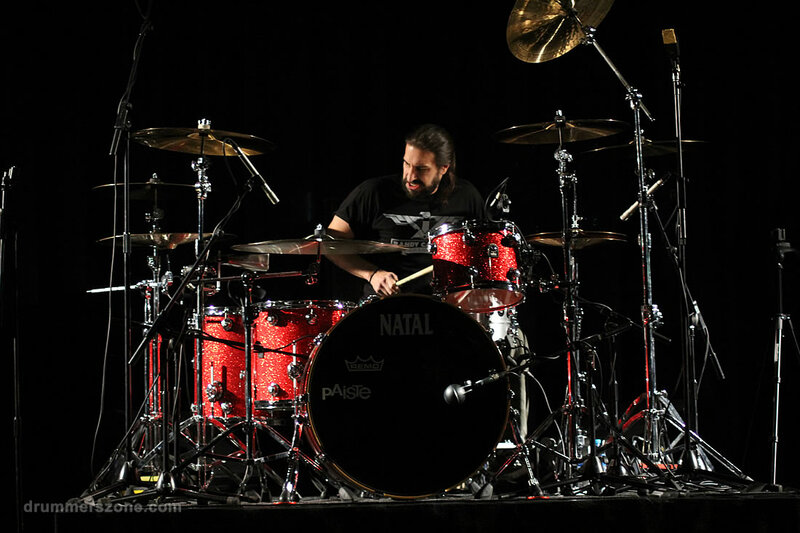 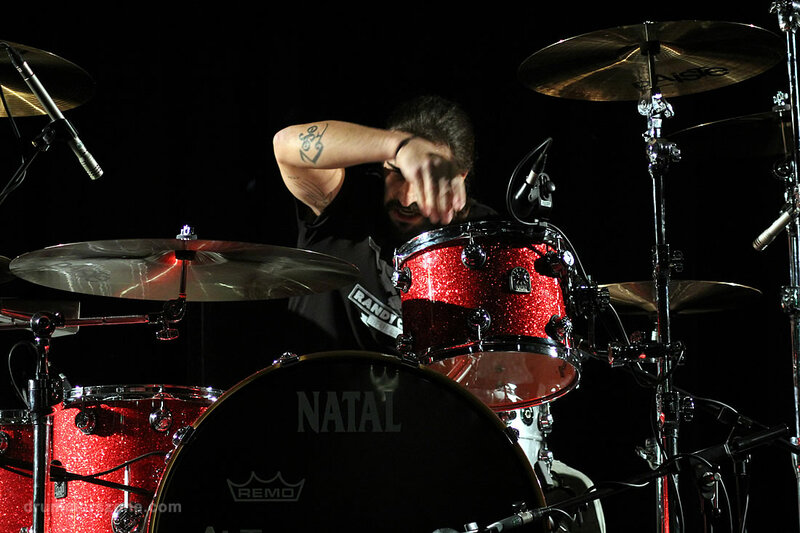 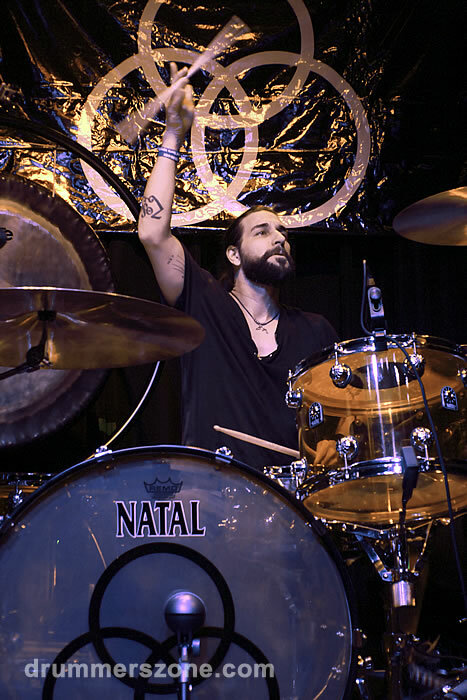 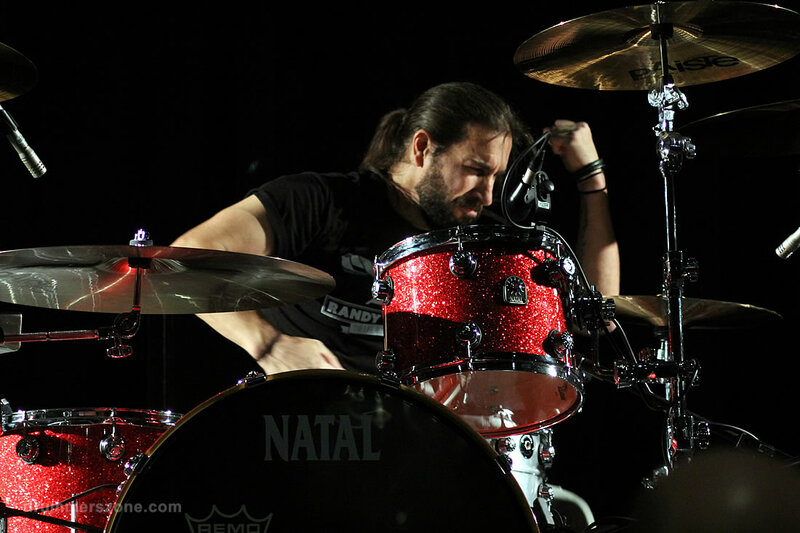 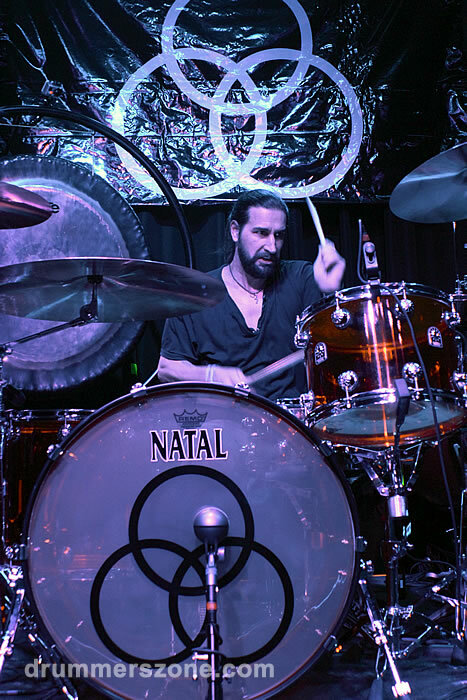 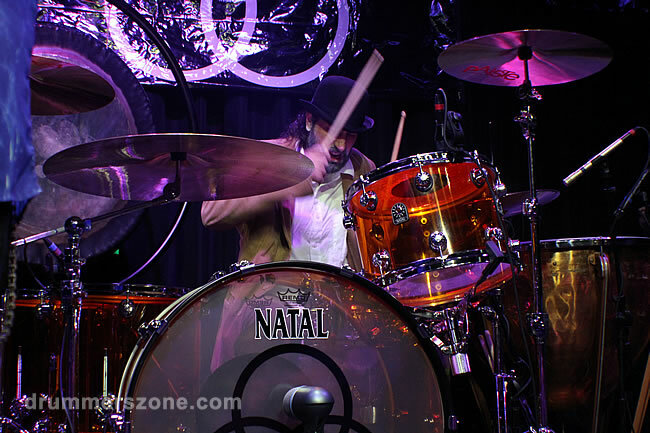 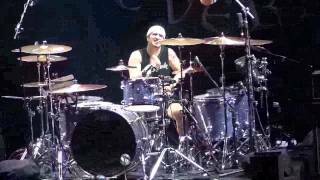 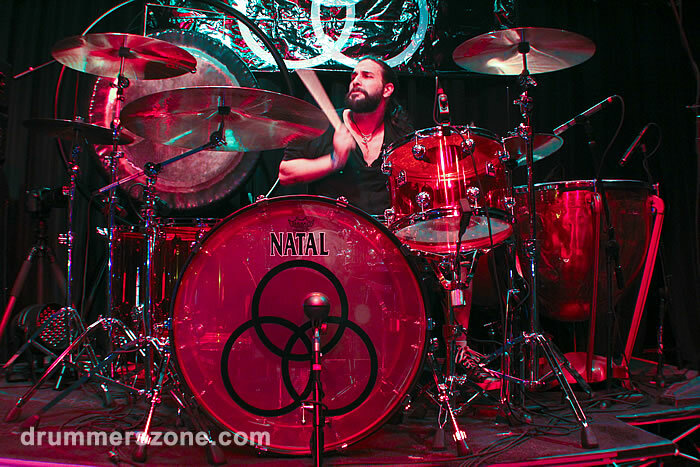 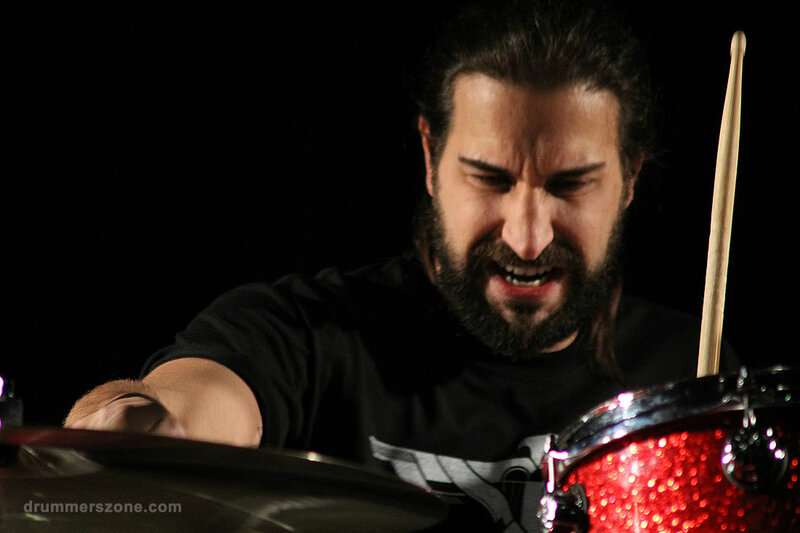 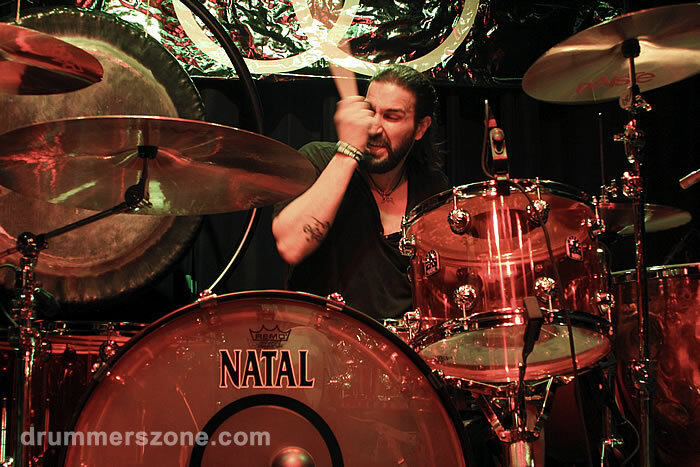 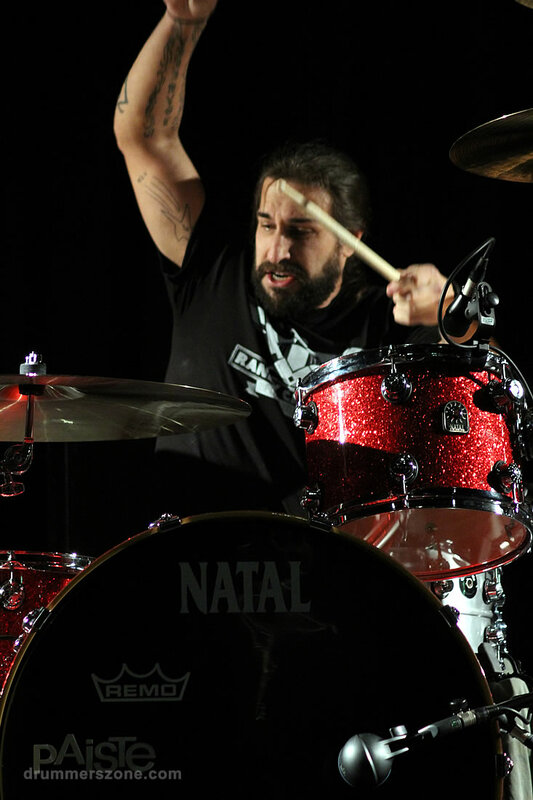 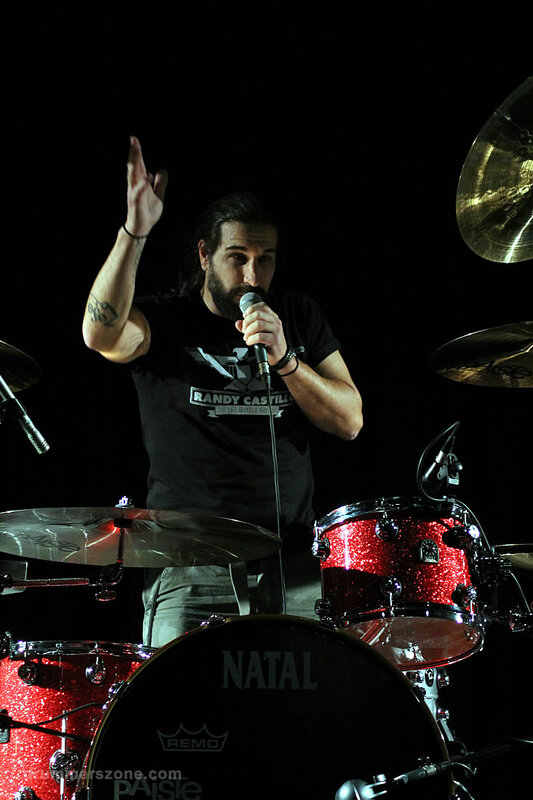 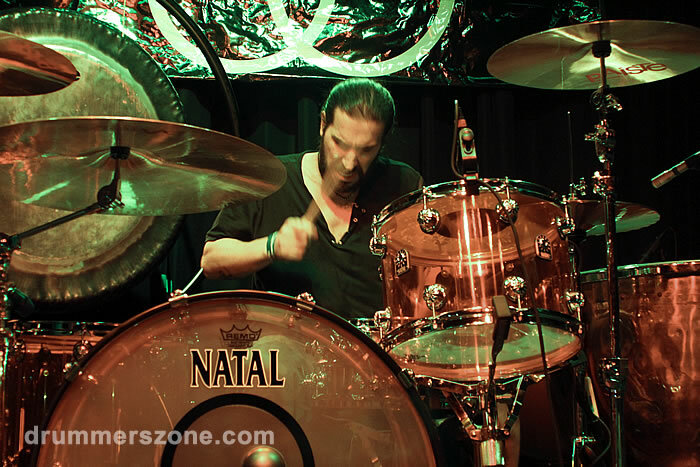 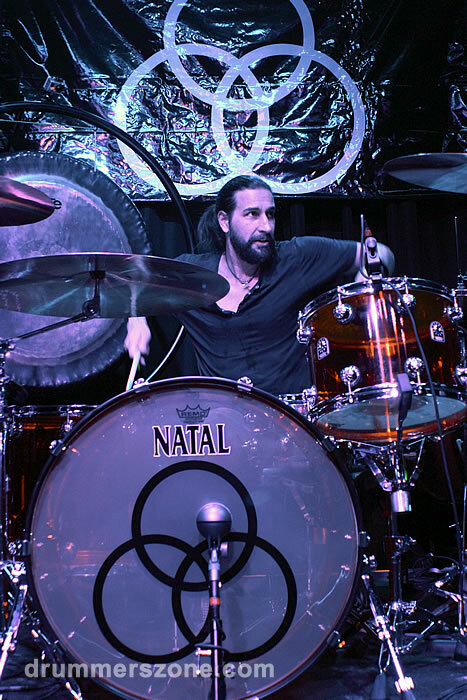 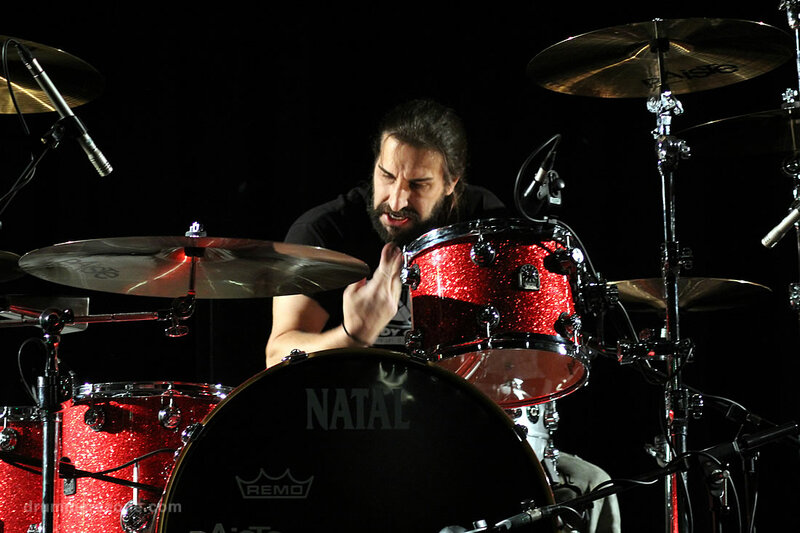 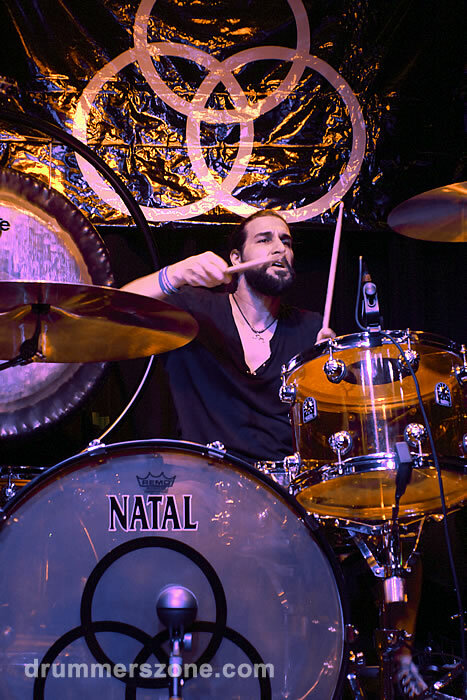 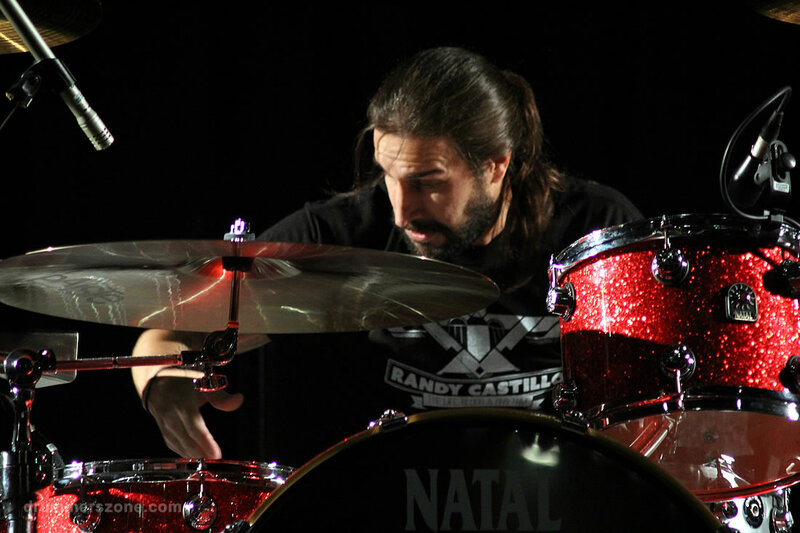 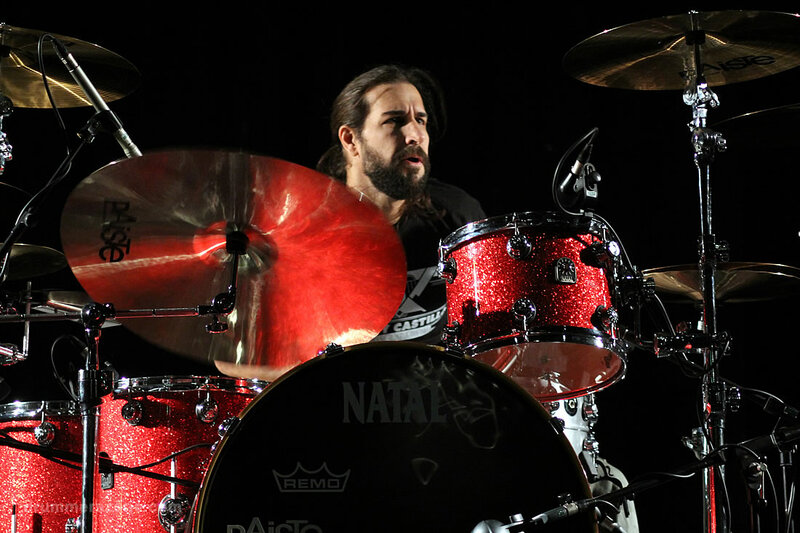 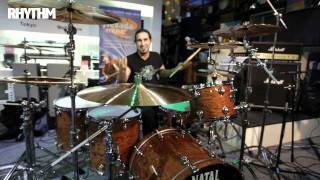 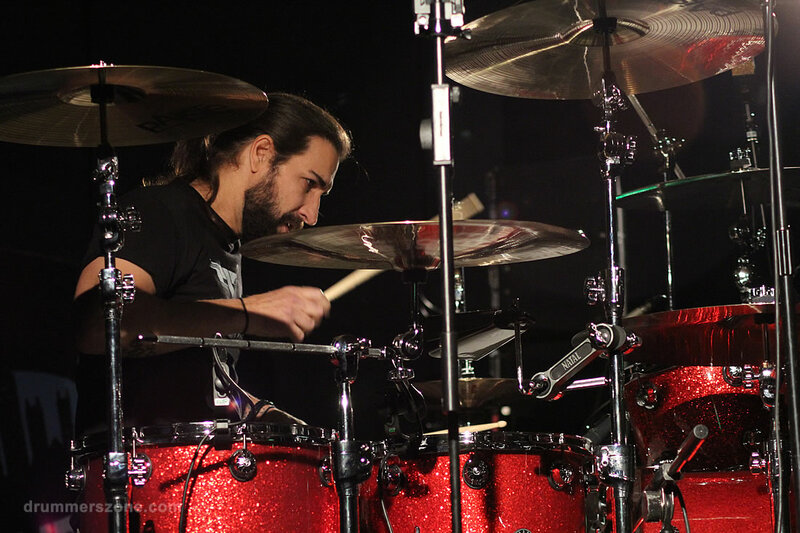 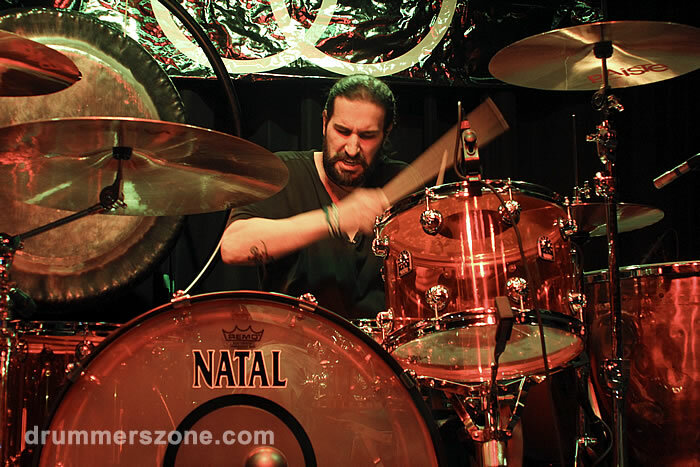 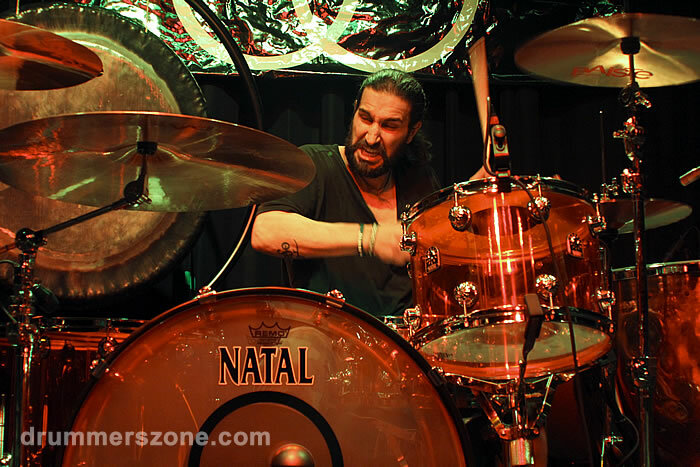 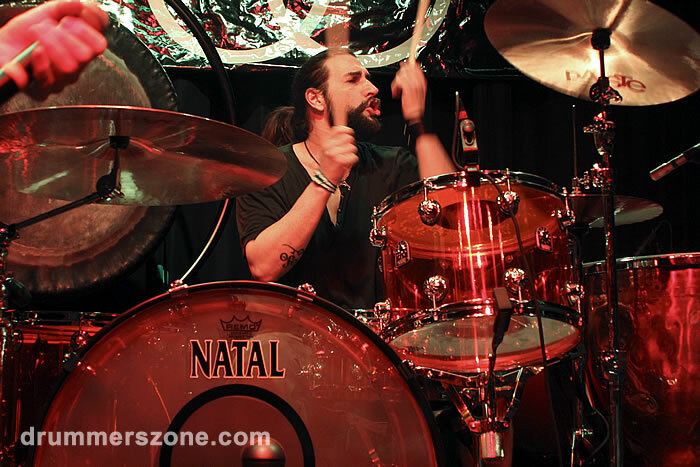 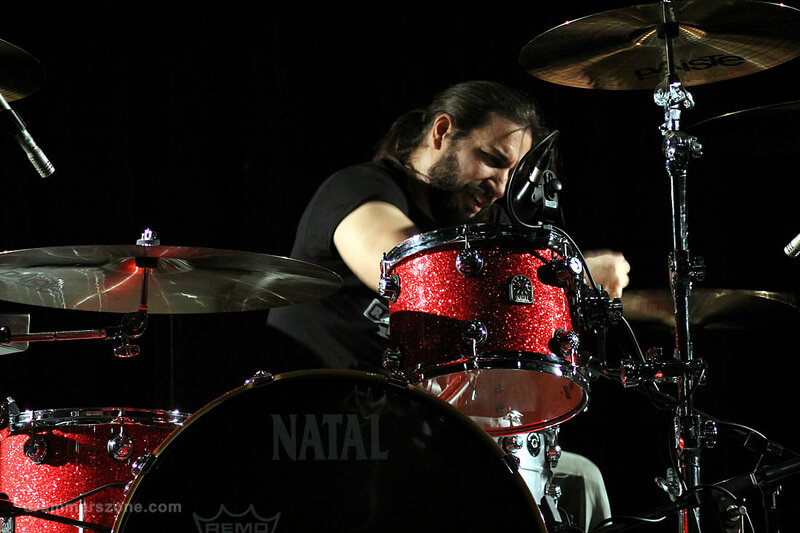 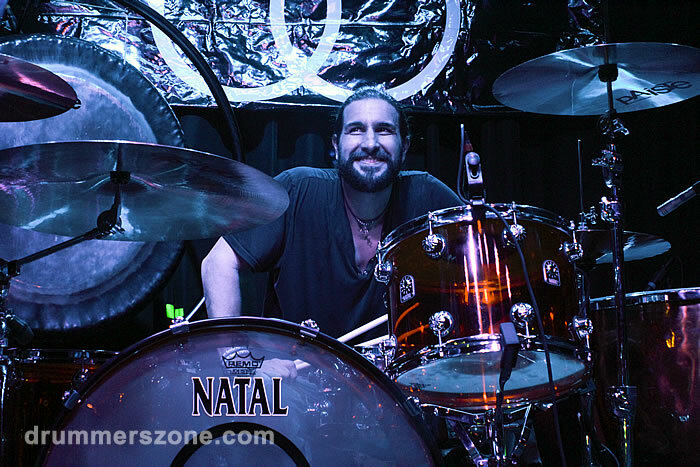 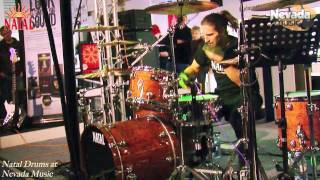 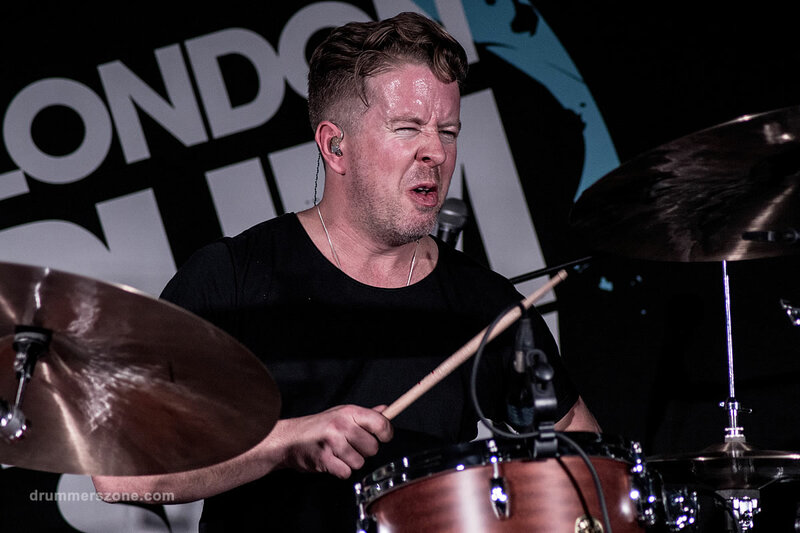 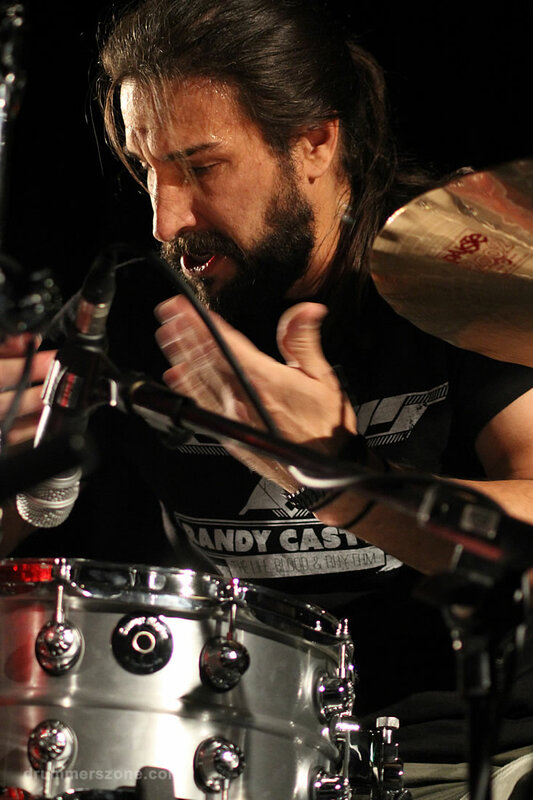 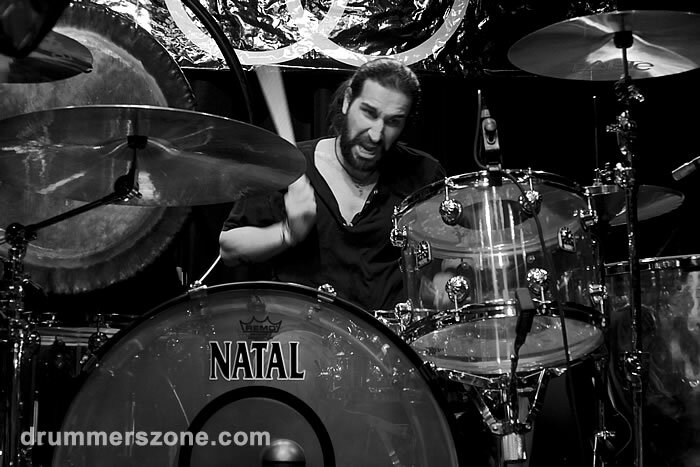 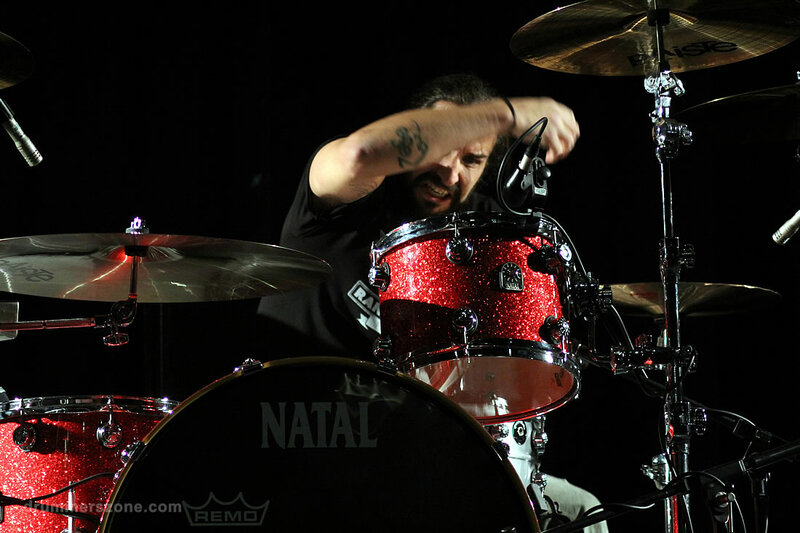 Brian Tichy performing at the London Drum Show 2014. 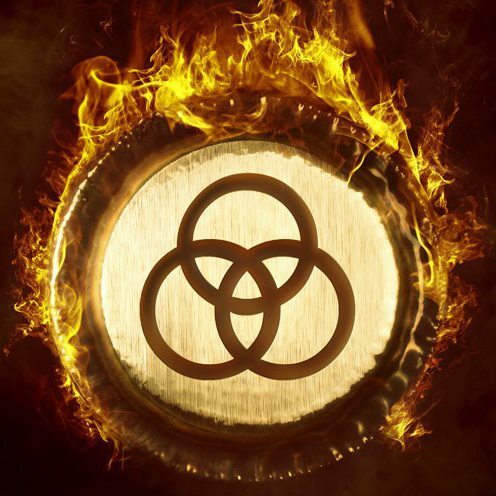 Rush were discovered. 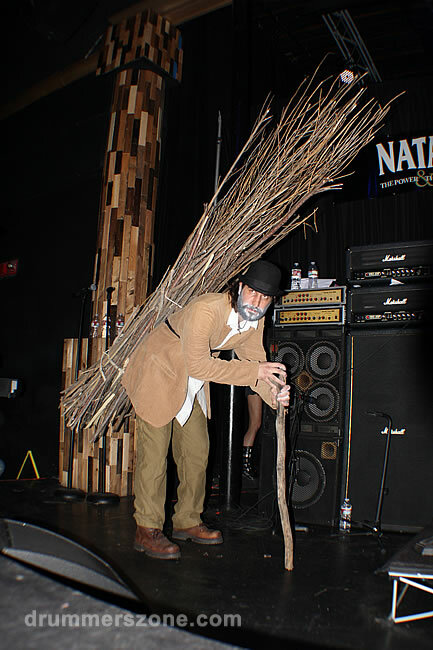 Total middle class metal! 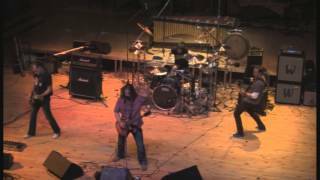 but, Goddamn!, listen to these insane guitar players! 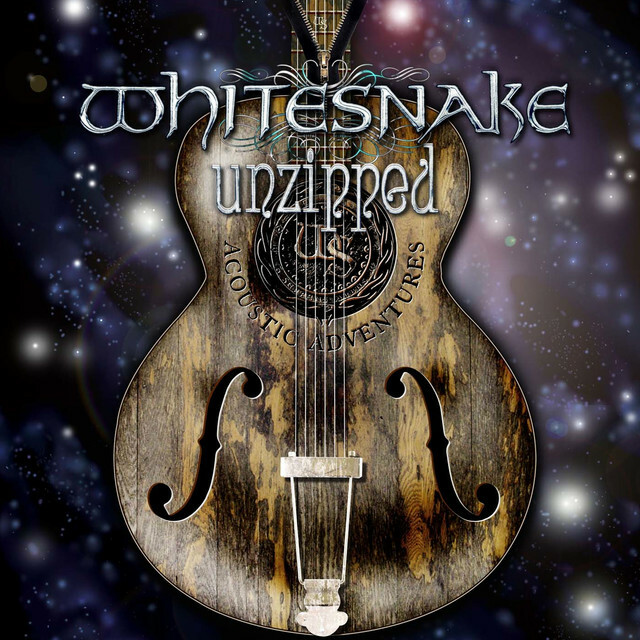 immersing himself in the 80's guitar god scene. 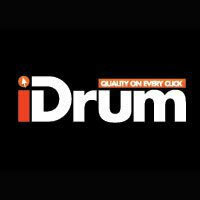 through a day stress free!! 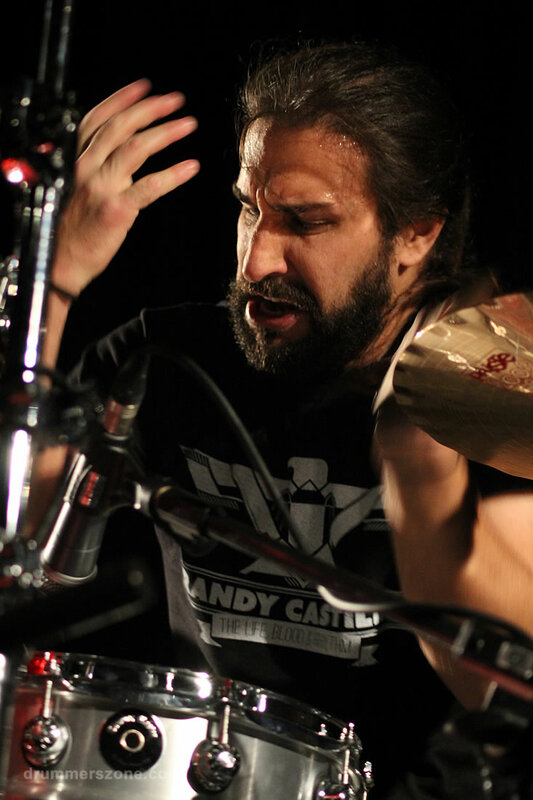 Goddamn music business! 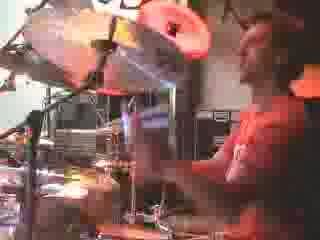 like 20? 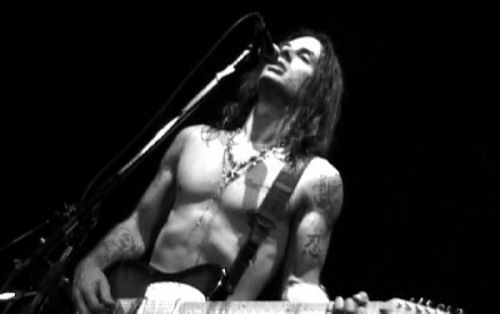 2 Summer US Tours: '98 + '99. 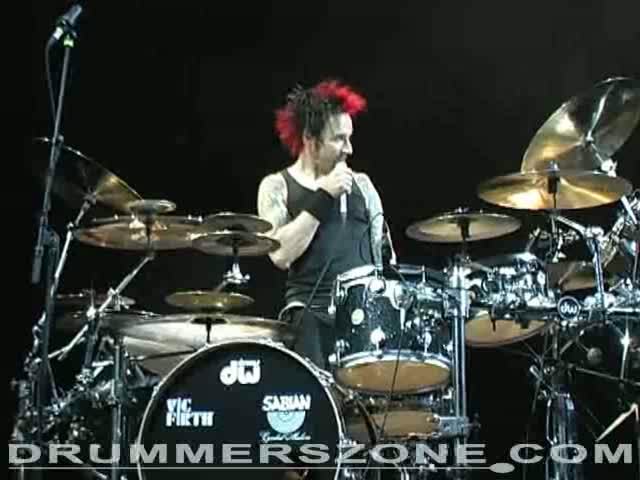 their masses!" 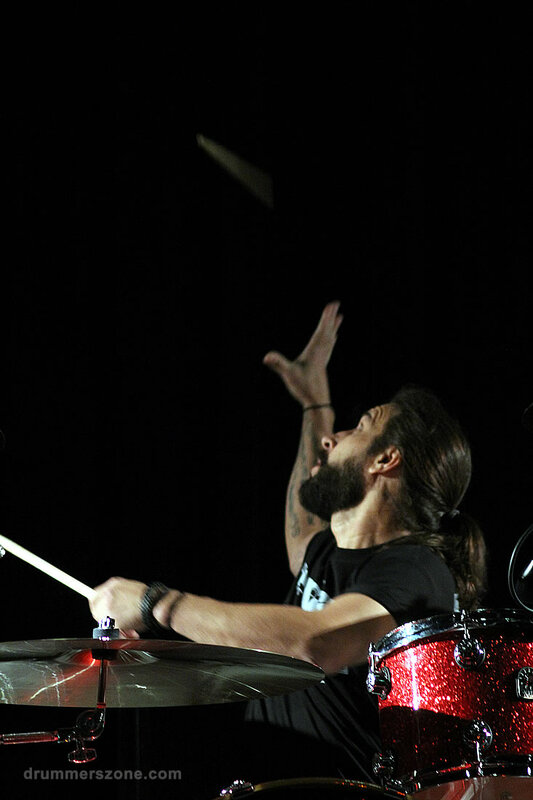 A high point. 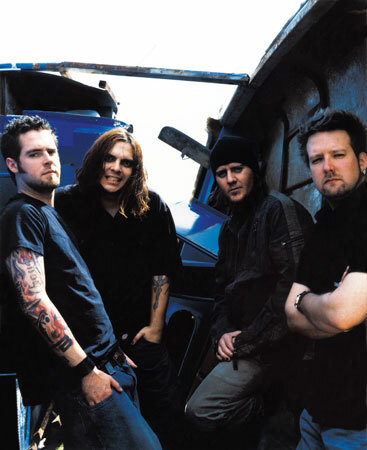 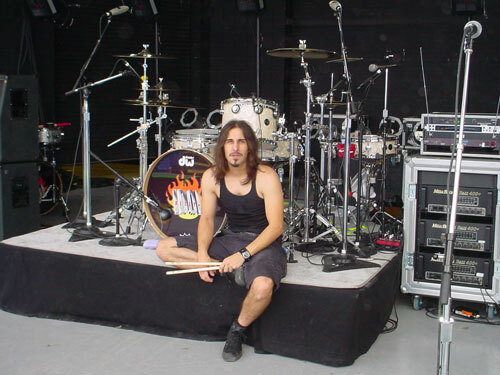 Tour, Ozzfest 2000. 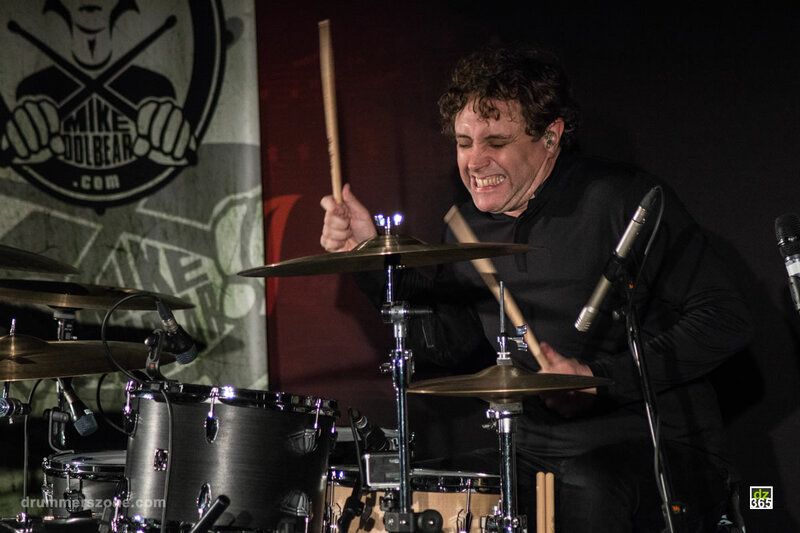 Brian Thomas Tichy grew up thinking that everybody wanted to play the drums, it's just that not everybody got the chance. 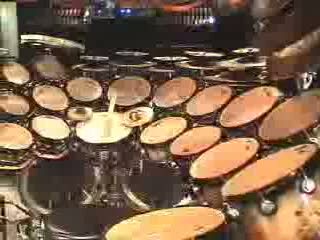 But if you did get to own a set, you were a part of the few, the proud... Brian got a set in 4th grade and it was all over from there. 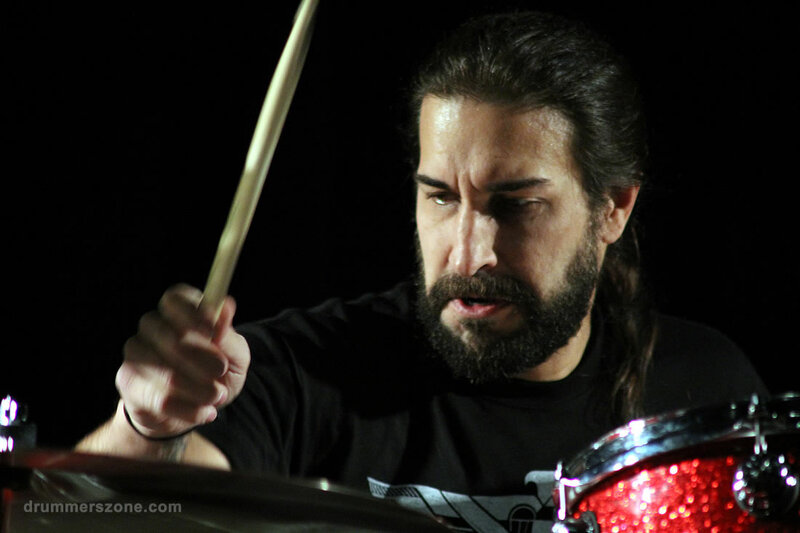 He agreed to take private lessons to prove his interest, which unbeknownst to him, would help in the long run. 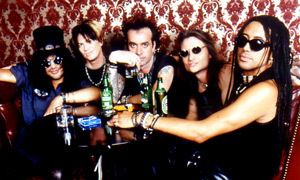 At about the same time, KISS entered his life and took over. 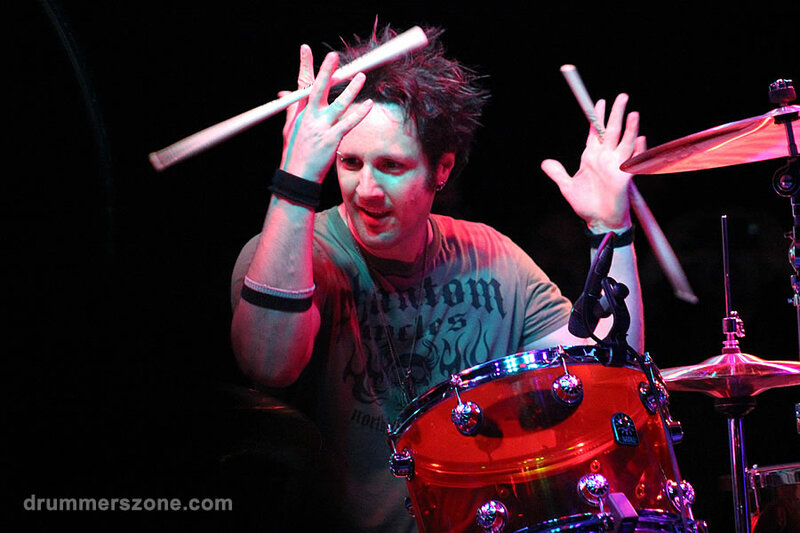 It was all about cranking the records up, putting the headphones on, and becoming Peter Criss at Madison Square Garden! 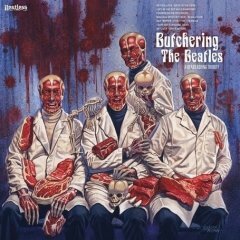 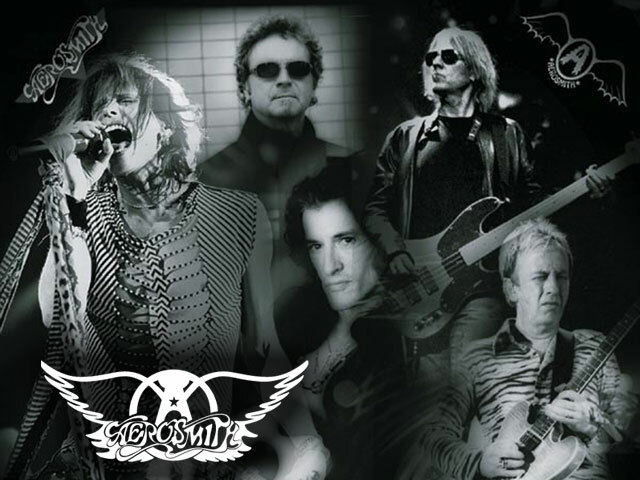 Soon after, Led Zeppelin, Nugent, AC/DC, Aerosmith, Van Halen, Sabbath and Rush were discovered. 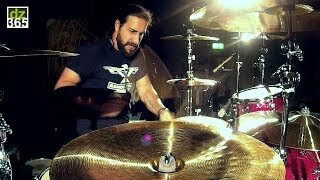 Total middle class metal! 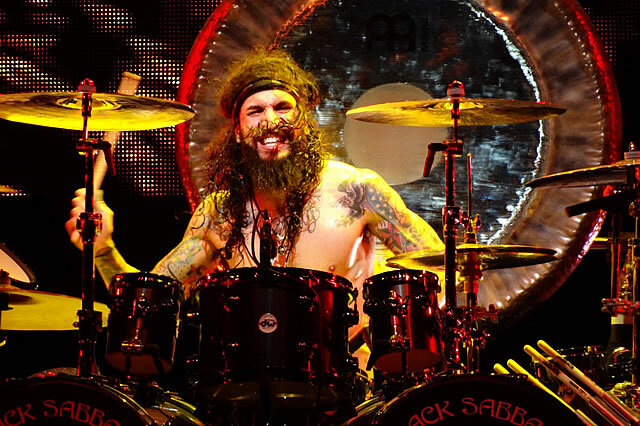 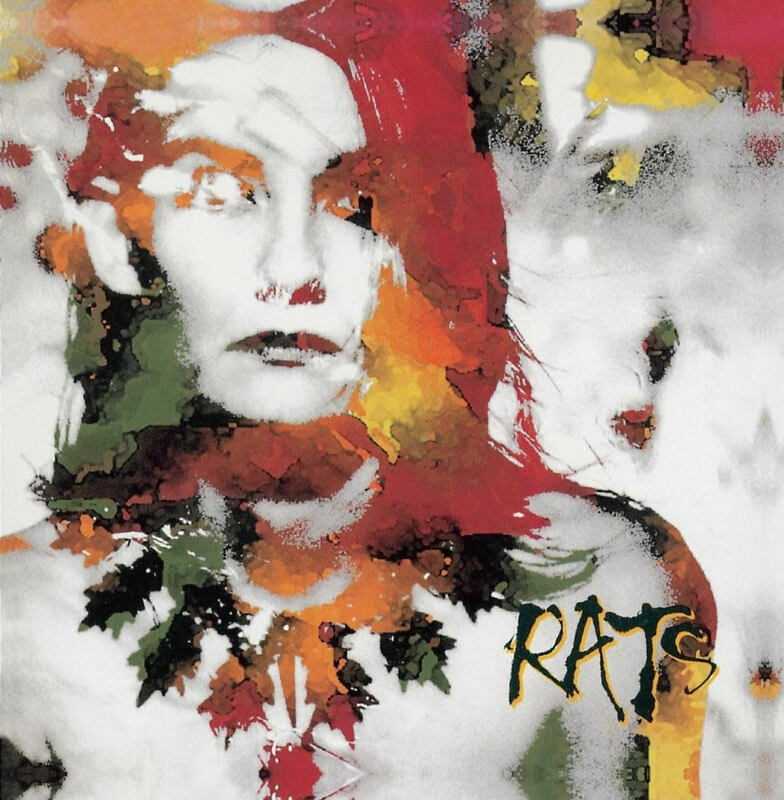 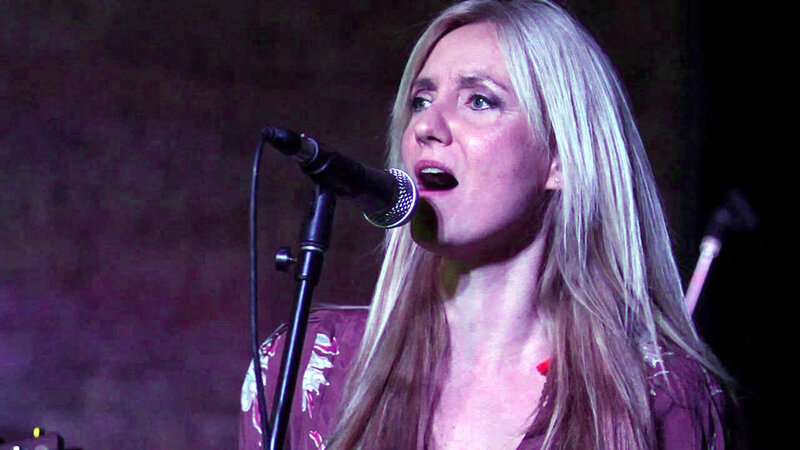 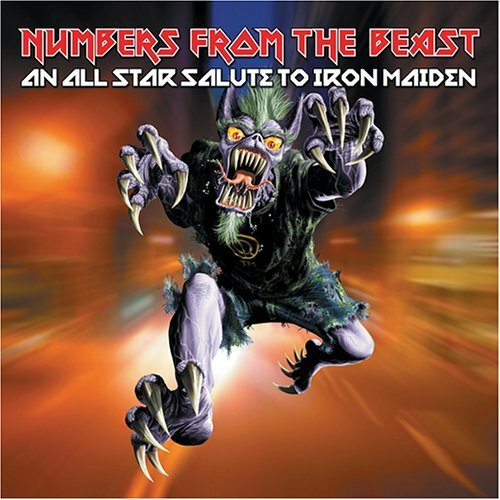 Even though drums were the obsession, the power of a heavy guitar riff could not be denied. 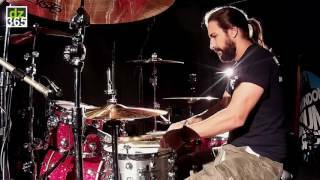 So Brian Tichy started picking Zep, Sab,+ AC/DC riffs up off his guitar buddies and practiced them on a half-assed acoustic. 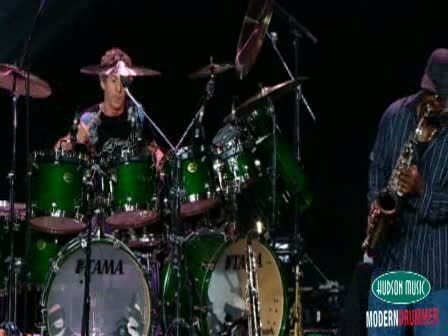 Throughout high school, Brian played drums non-stop, but, goddamn!, listen to these insane guitar players! 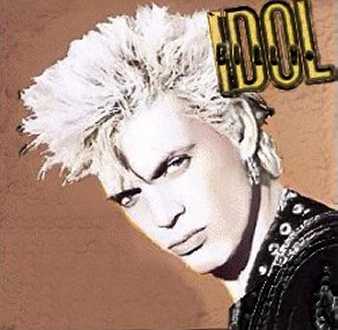 He started feebly attempting to figure out leads by Randy Rhoads, Yngwie Malmsteen, George Lynch, etc..., immersing himself in the 80's guitar god scene. 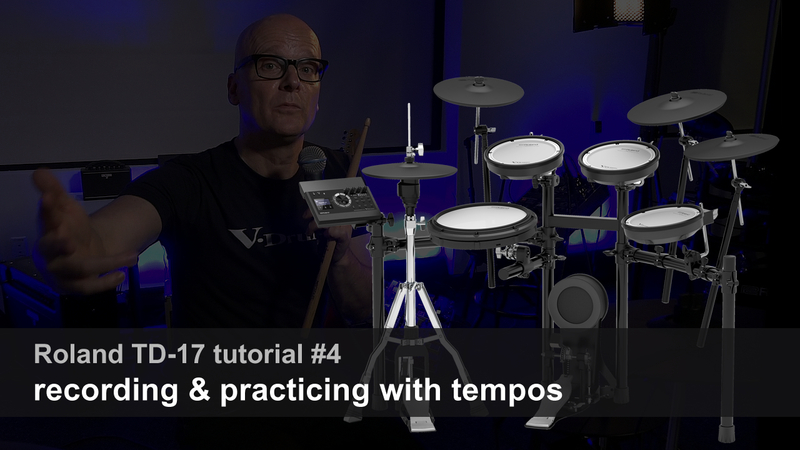 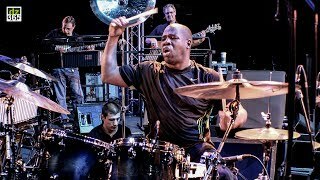 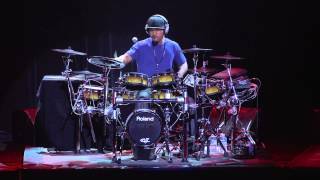 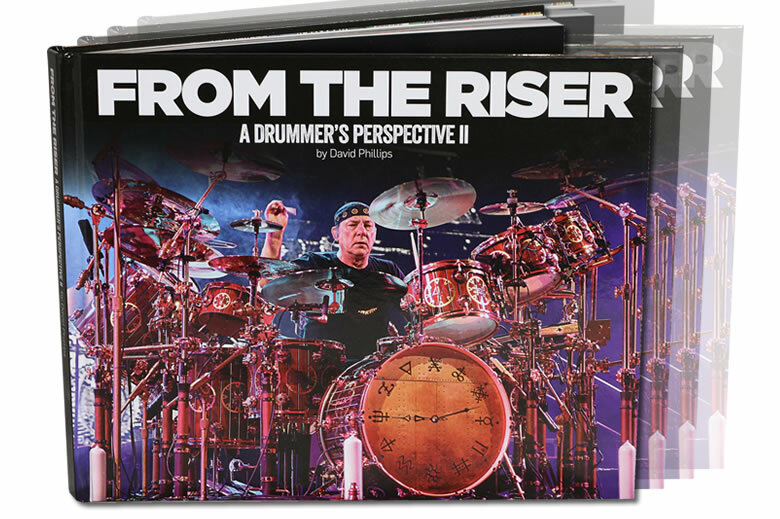 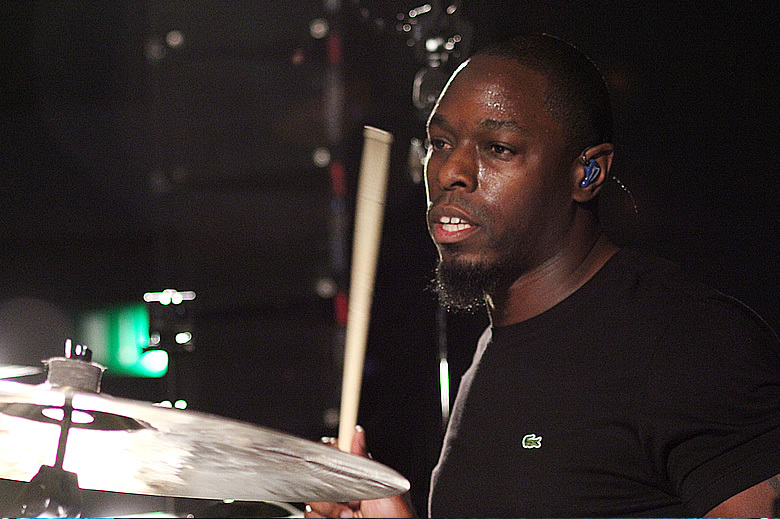 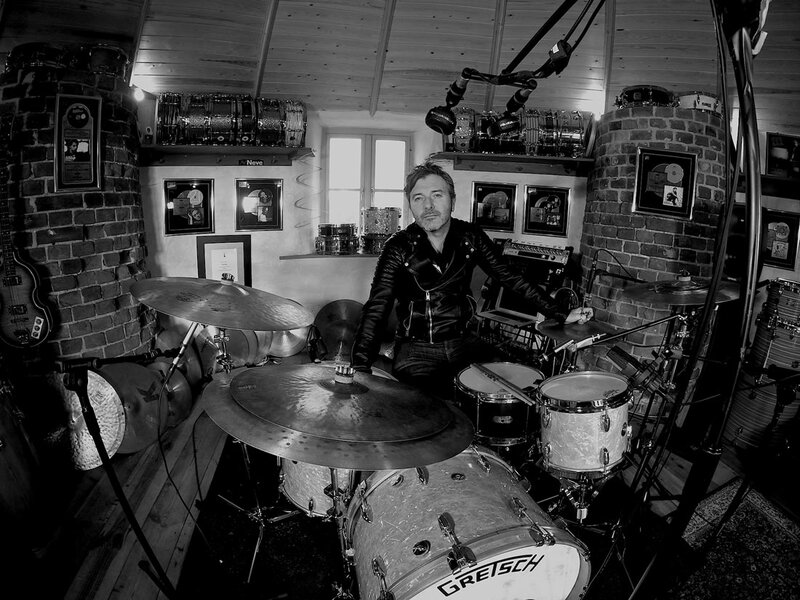 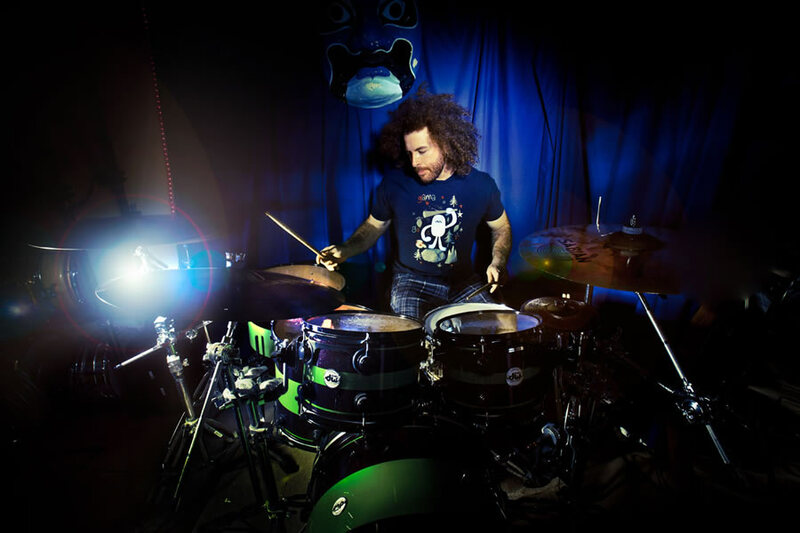 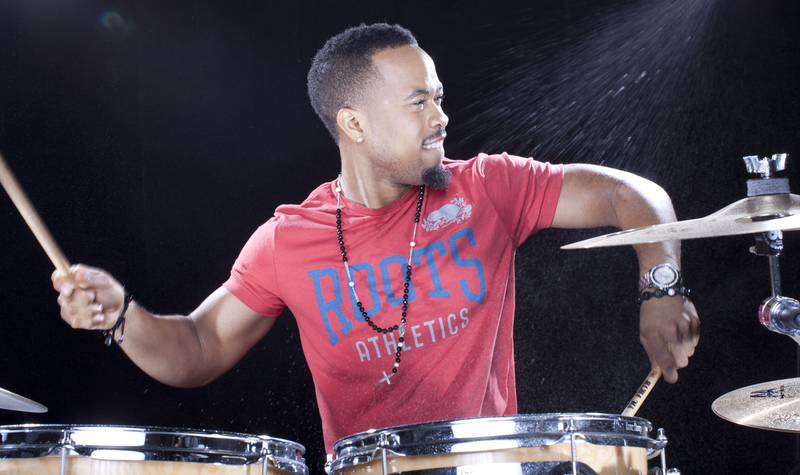 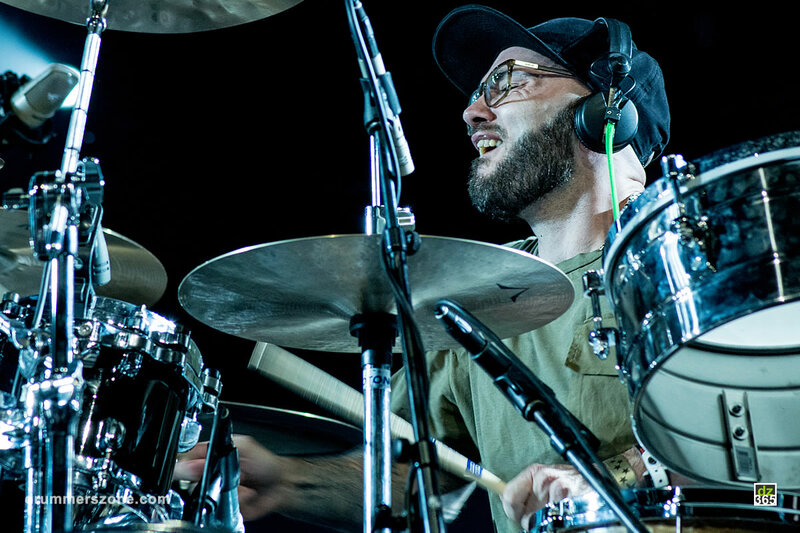 After high school Brian went to Berklee College of Music for 3 years diving deeper into studying drums. 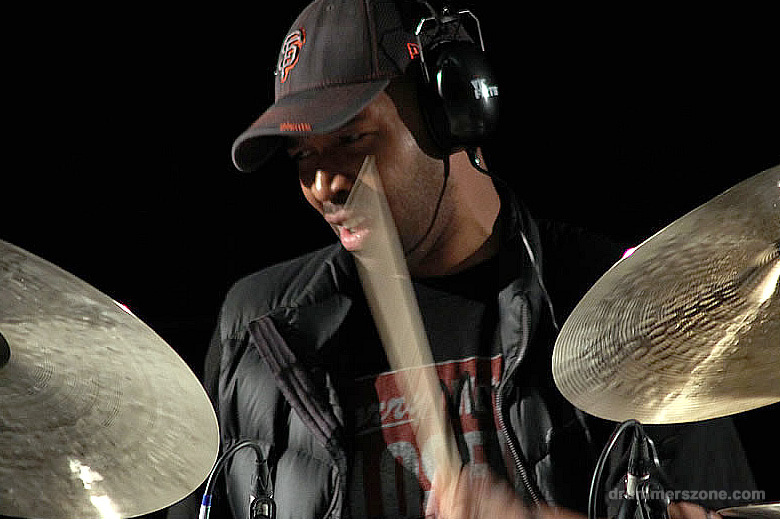 Exposed to jazz, funk, and fusion, he practiced non-stop to "catch up" to where he new his ability should be. 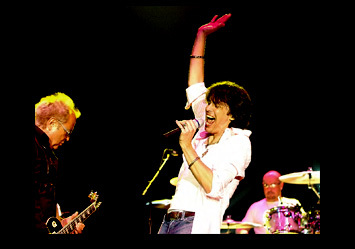 He also learned a lot from all the guitar players there. 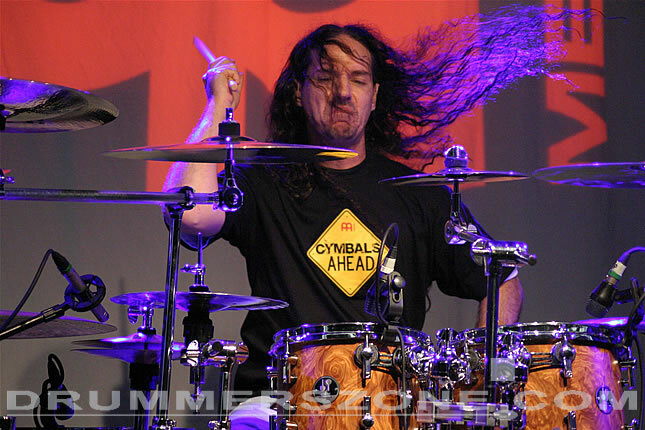 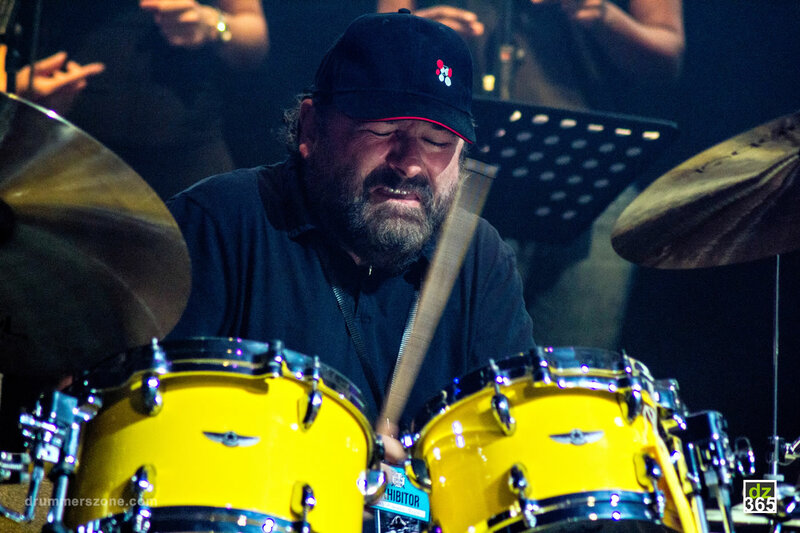 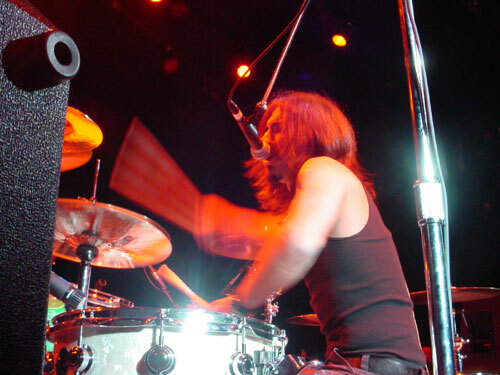 After playing around Boston in various bands, Brian started getting work as a touring, recording drummer. 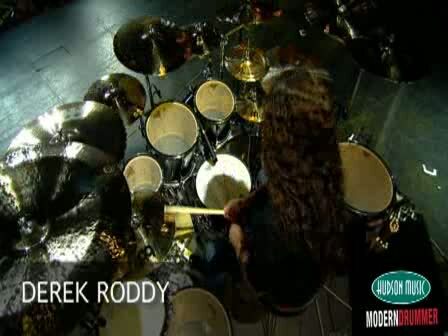 And for the past 11 years, that's what's either kept him alive, or kept him from getting through a day stress free!! 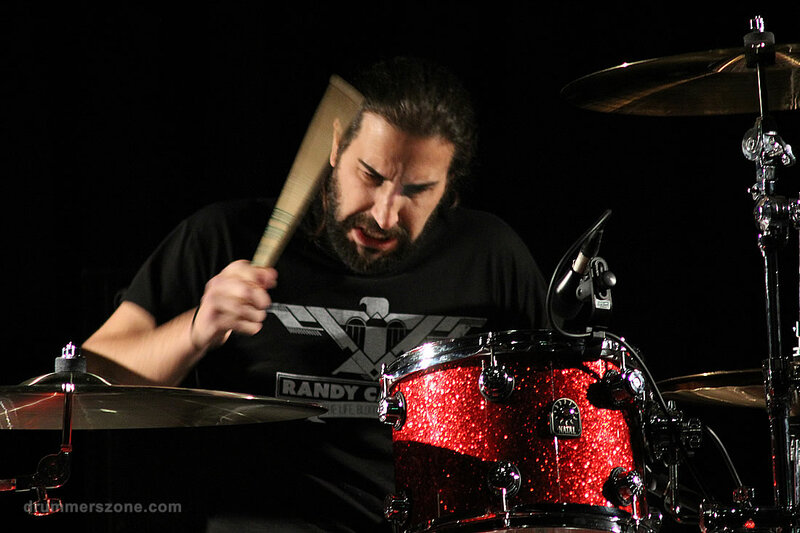 Goddamn music business! 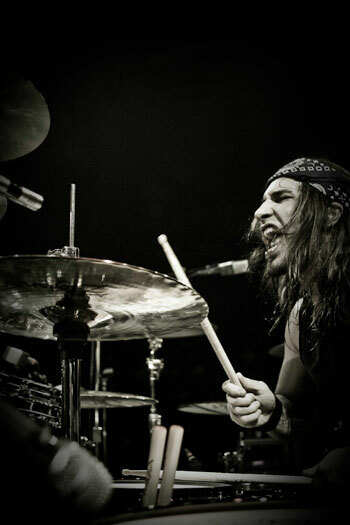 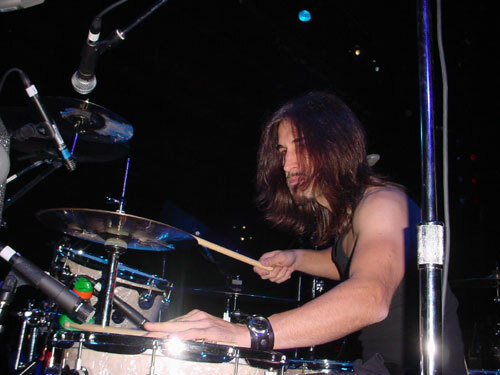 With the exception of a couple embarrassing and/or shortlived gigs, Brian Tichy has either toured or recorded with Vinnie Moore, Stevie Salas, Nickelbag, Pride & Glory, Slash�s Snakepit and Billy Idol. 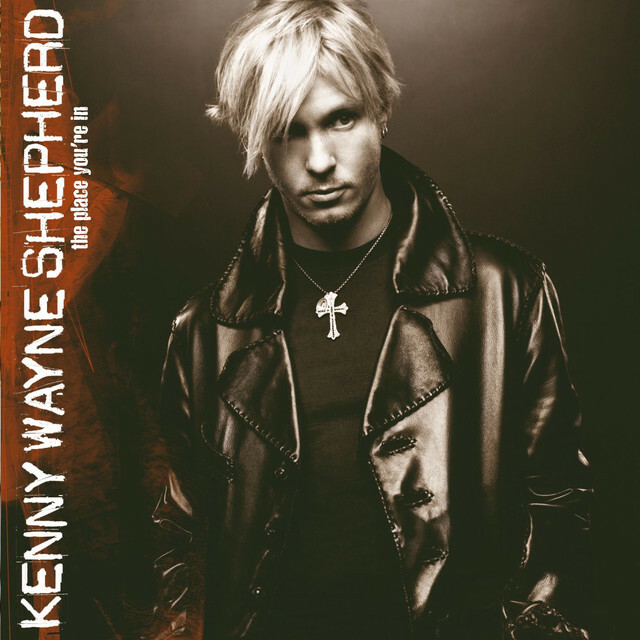 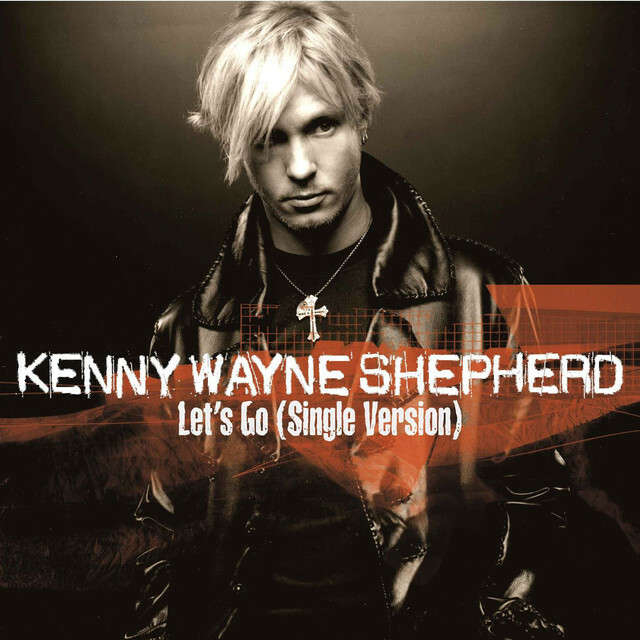 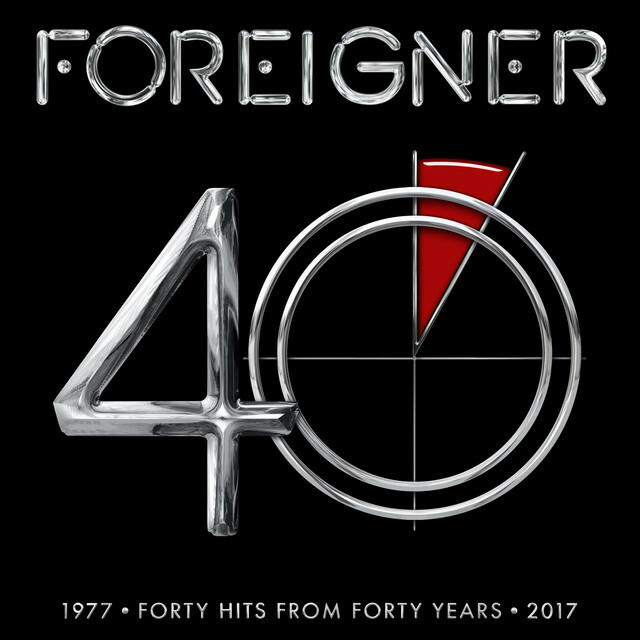 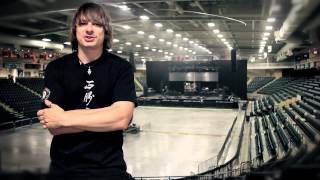 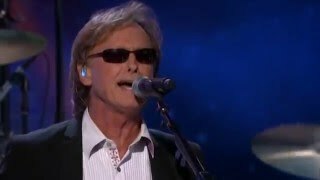 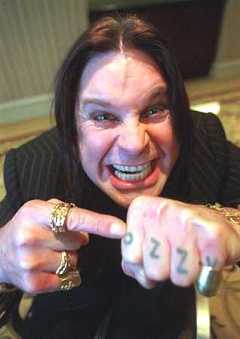 In 1998, his reputation brought him to work with the classic rock band Foreigner which he toured for more than one year leading him to play with rock hero, Ozzy Osbourne in 2000. 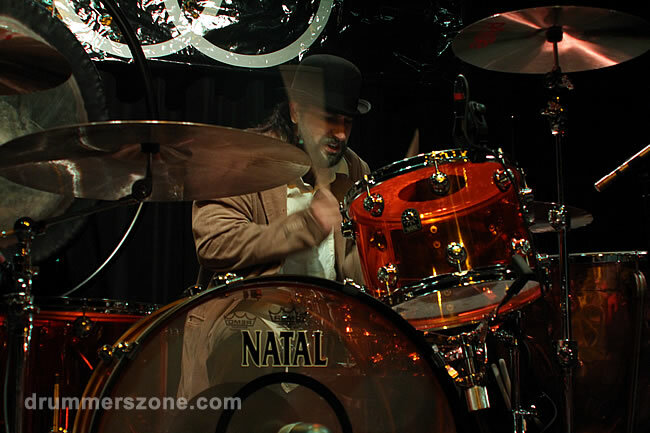 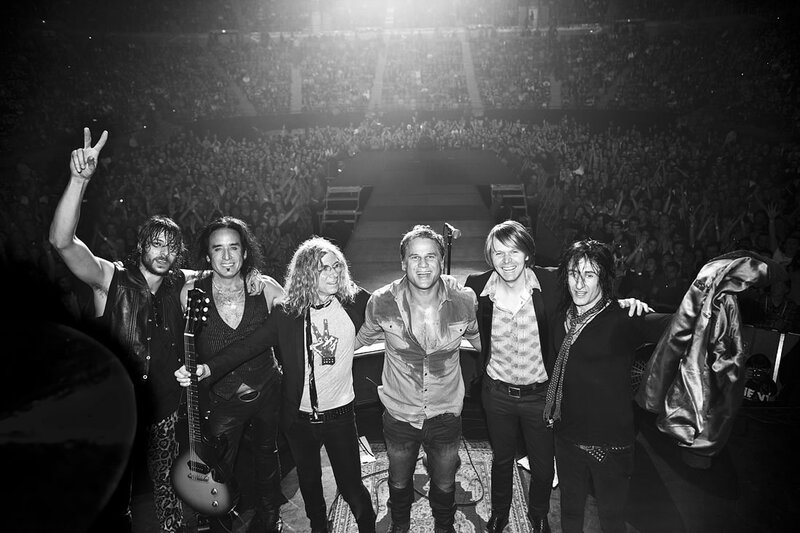 Brian has traveled all over the world and toured on every continent - both as guitarist and drummer. 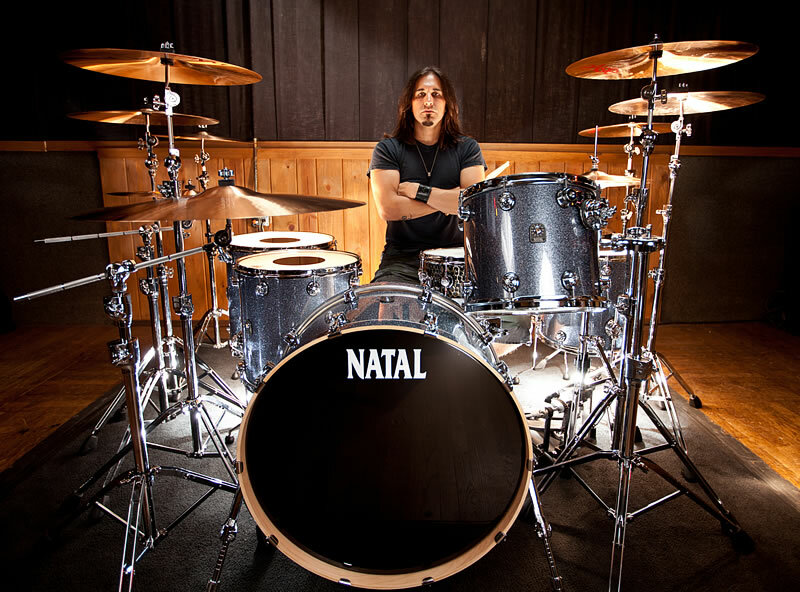 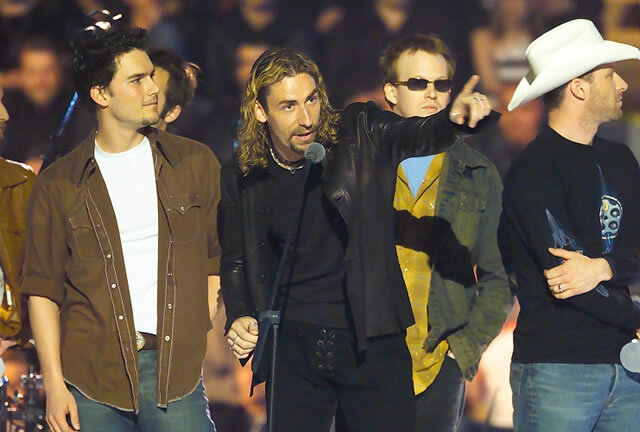 Originally and still a drummer, Brian Tichy decided to start his own band on guitar and vocals. 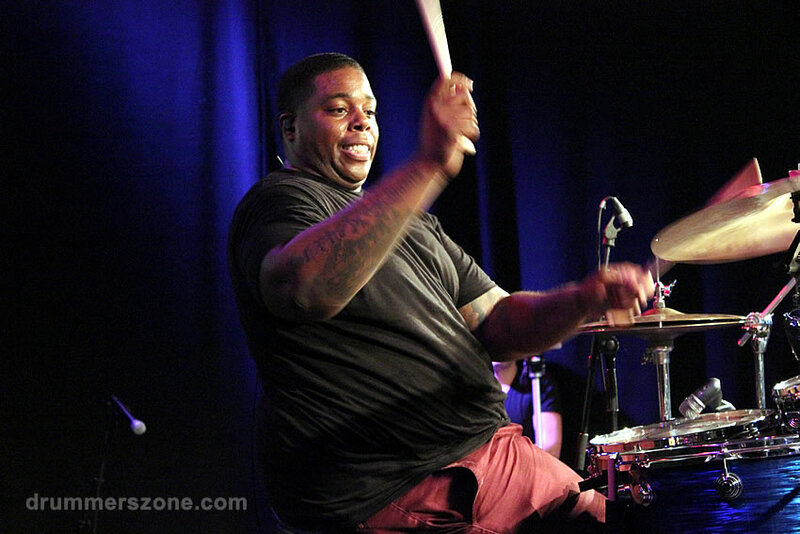 Based in LA, he put Ball together with long time friend Joe Travers on drums. 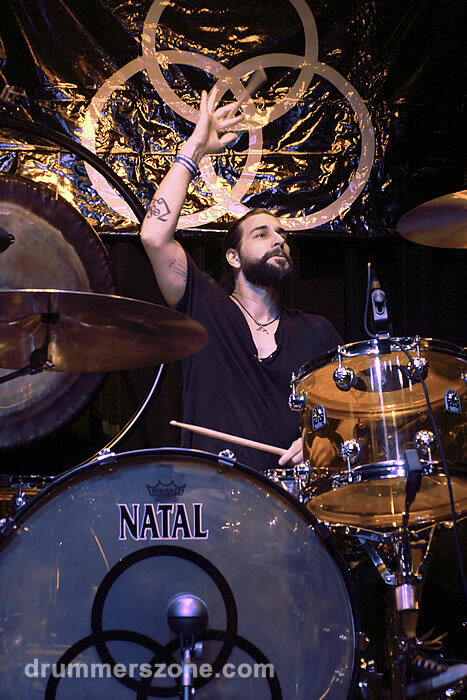 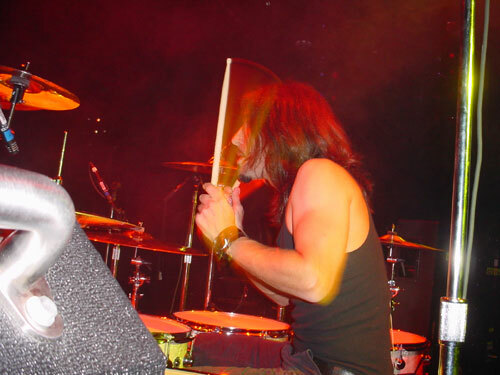 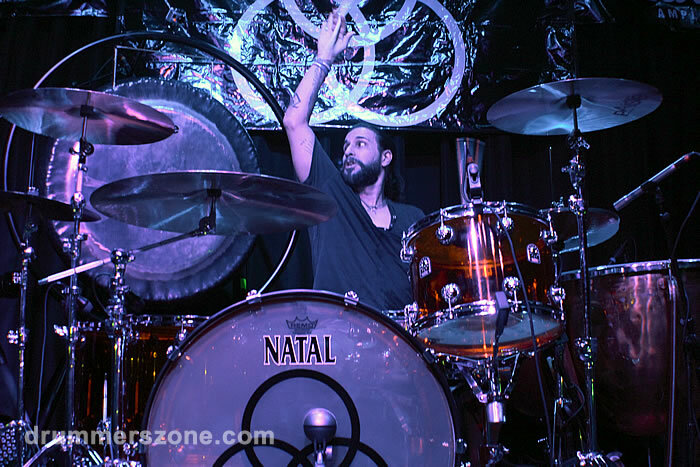 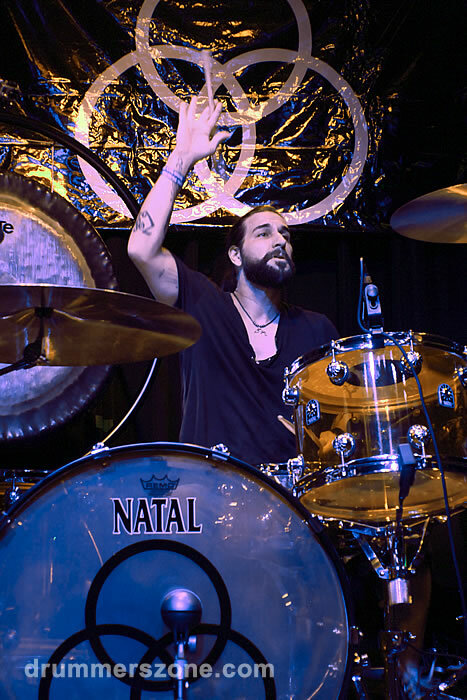 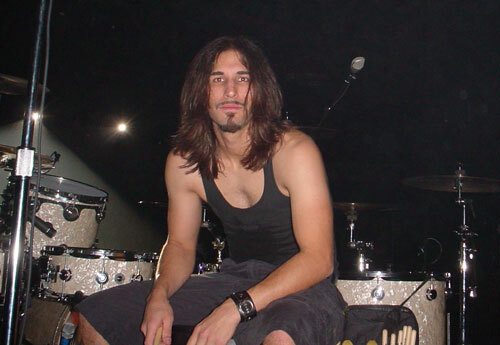 In August 2005 Brian Tichy temporary filled in for Matt Sorum in Velvet Revolver, after the latter suffered a fractured hand as the result of a boating accident. 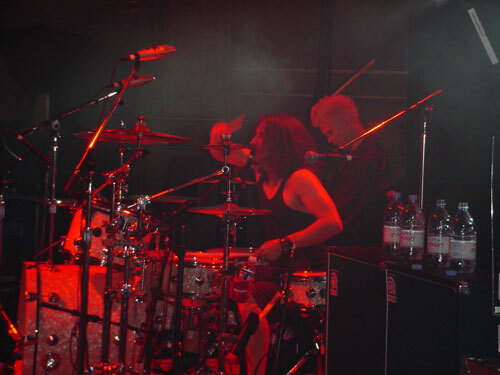 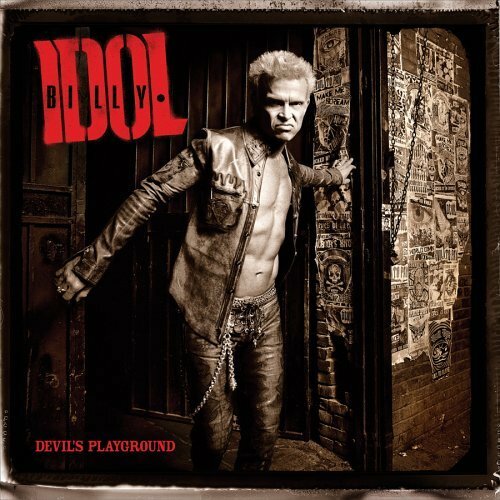 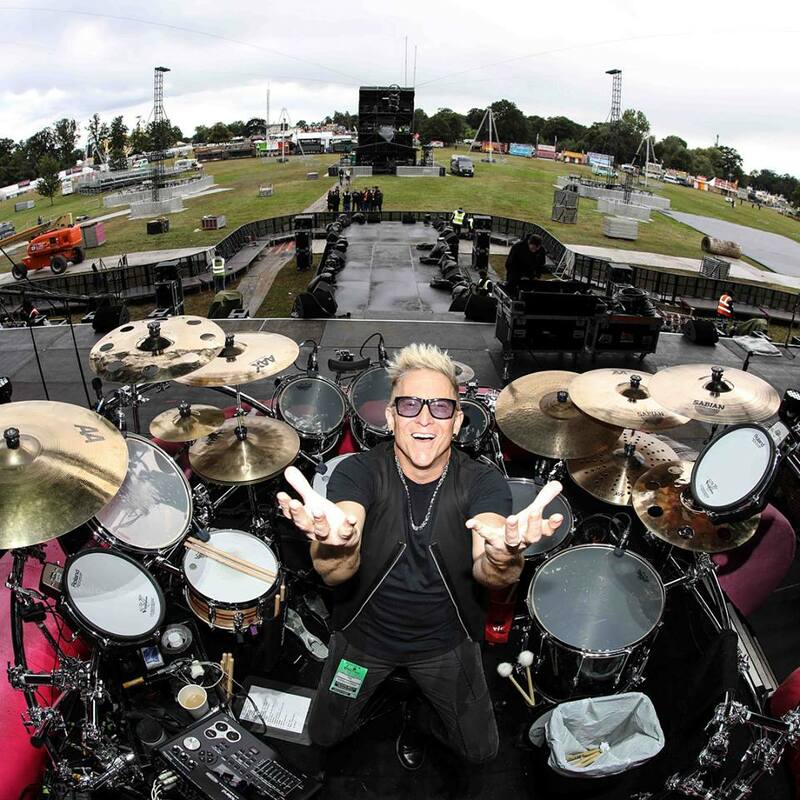 Due to his commitments with Billy Idol, Tichy was followed by Mark Schulman during the band's Ozzfest trek. 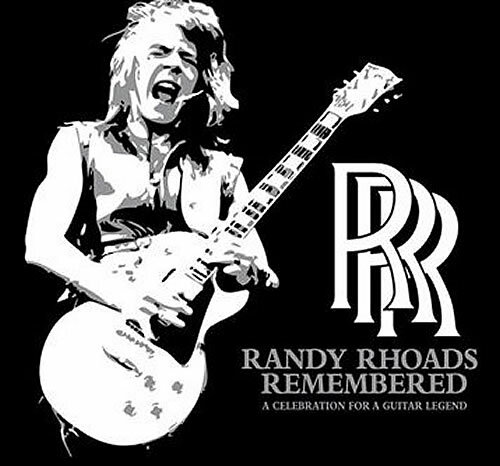 Randy Rhoads Remembered - An All-Star Celebration Of A Guitar Legend. 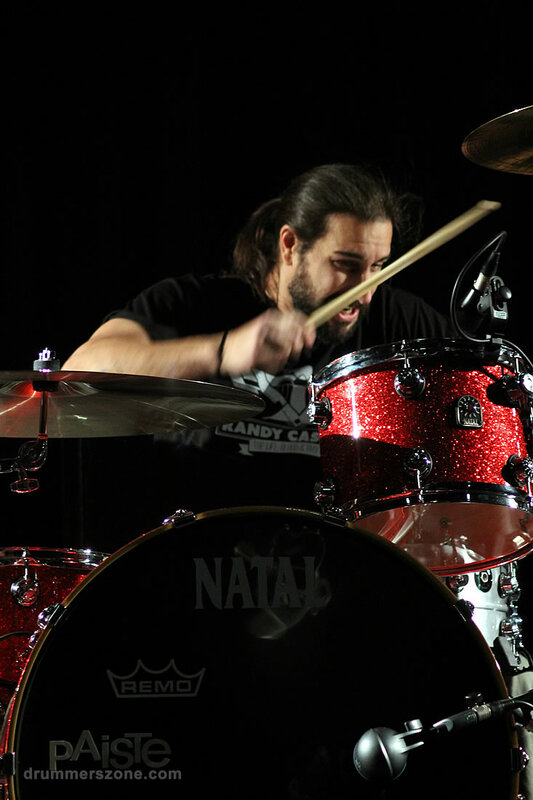 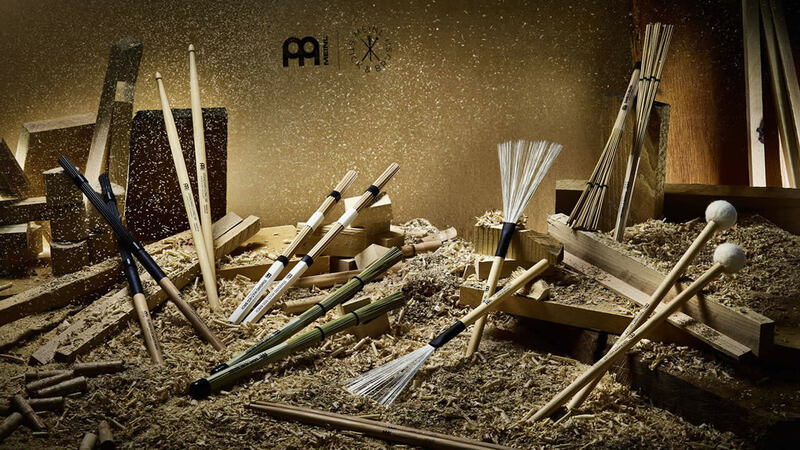 AXES & ANCHORS - Feb. 20 to Feb 24, 2016. 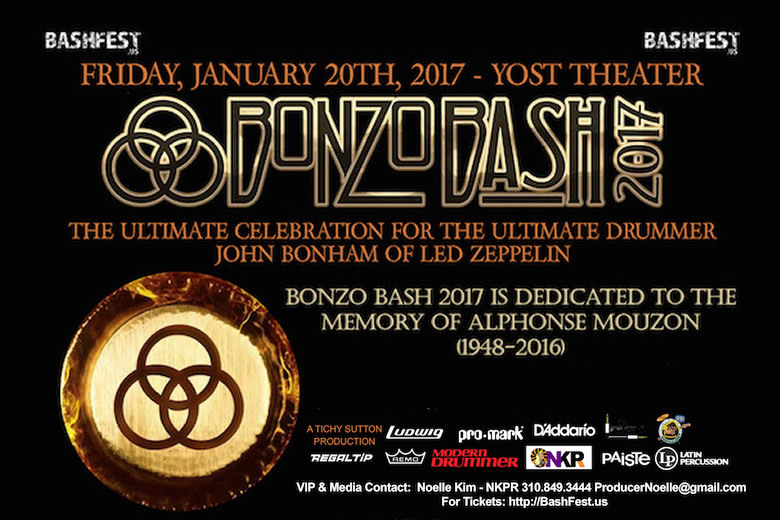 January 19th, 2017 at The Observatory in Santa Ana.